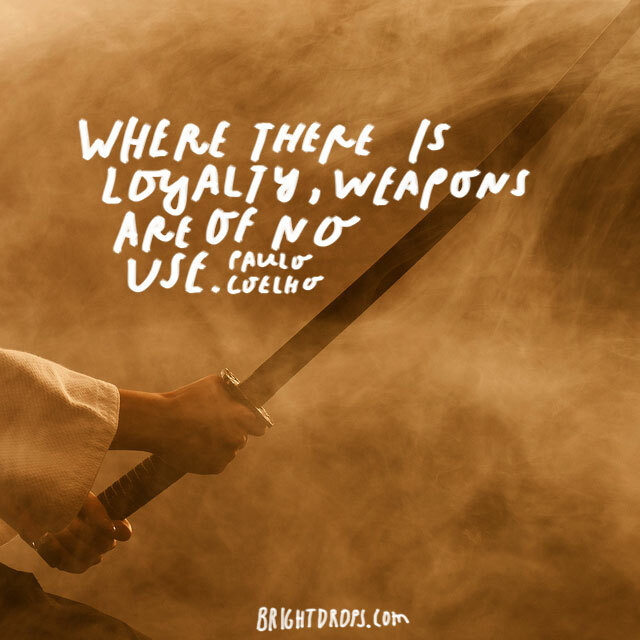 If you love meaningful quotes, then you do not want to miss this list of quotes on loyalty. We all have people that we are loyal to. but do they deserve our loyalty? Maybe they do, but maybe they don’t. 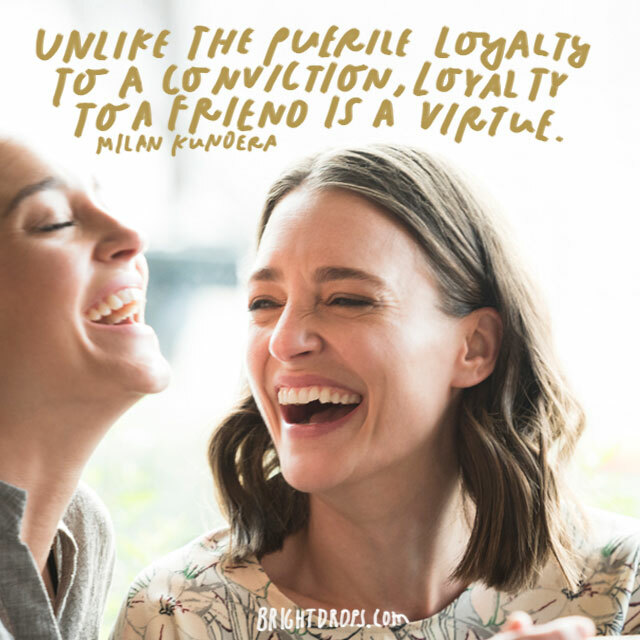 Either way, these Loyalty quotes should help you clear that up! 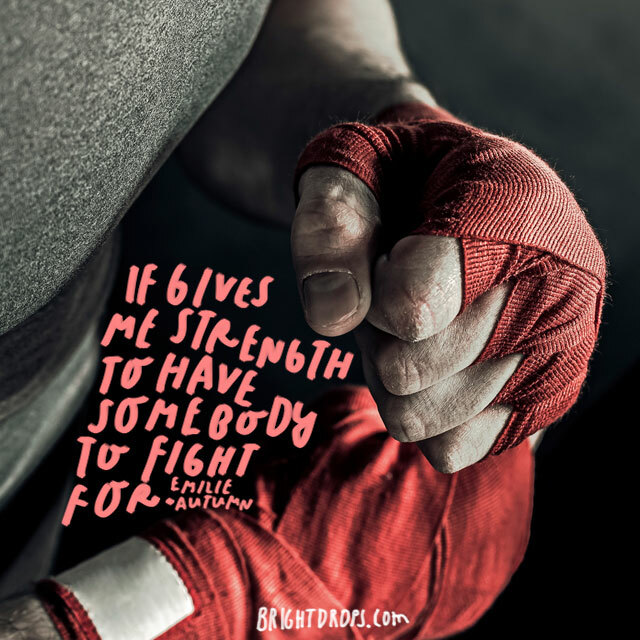 When you are fighting for a cause that is bigger than yourself, it is easier to continue to fight and not give up. 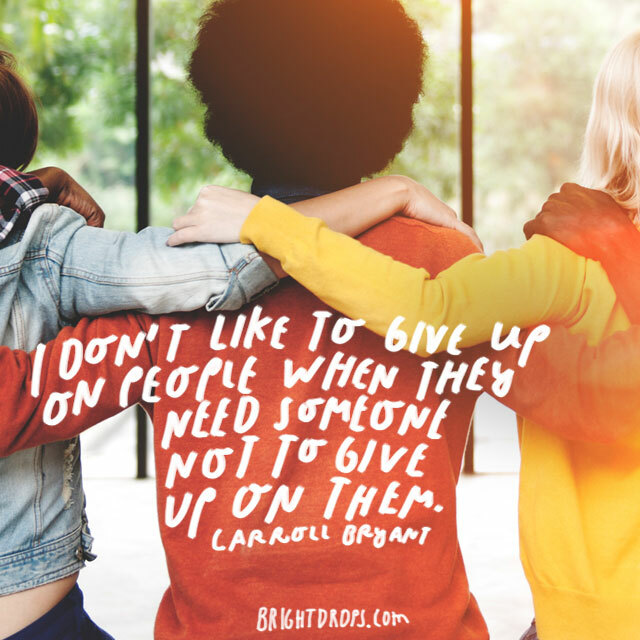 When we know other people are depending on us, then it gives us that extra boost that we need to give it everything we have and leave with no regrets. In this scenario, Ally is waiting on Bex but she has no doubt in her mind that she will be there because they are best friends. She is loyal to Bex and Bex is loyal to her and that kind of friendship does not exist without trust and loyalty on both sides. When you are so close to people, you feel just like family. You feel that these are your people and you are theirs. You have picked them and been chosen to go through this thing called life together. This is a beautiful thing and shows the depths and benefits of loyalty. There is no greater sense of loyalty than the willingness to die for another person. 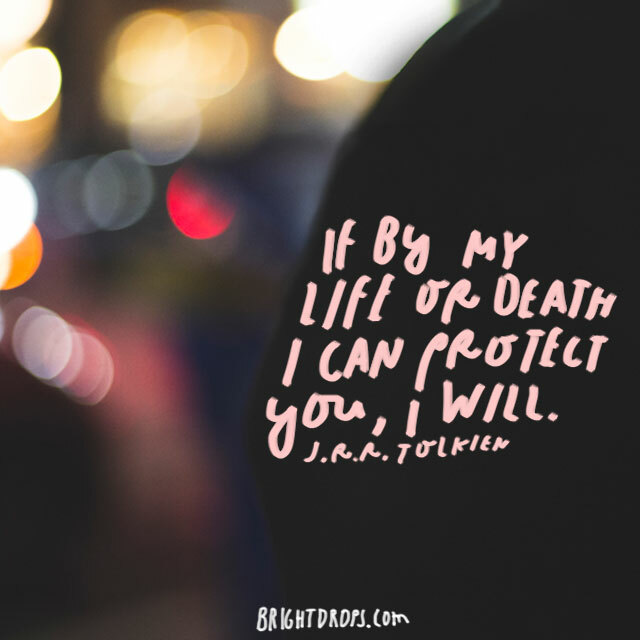 Protecting people and looking out for their well-being is what loyalty is all about. Loyalty is important because it gives people a sense of security that someone else is looking out for them. Sometimes in life, there are circumstances where we owe our loyalty to someone for sacrificing theirs on us. 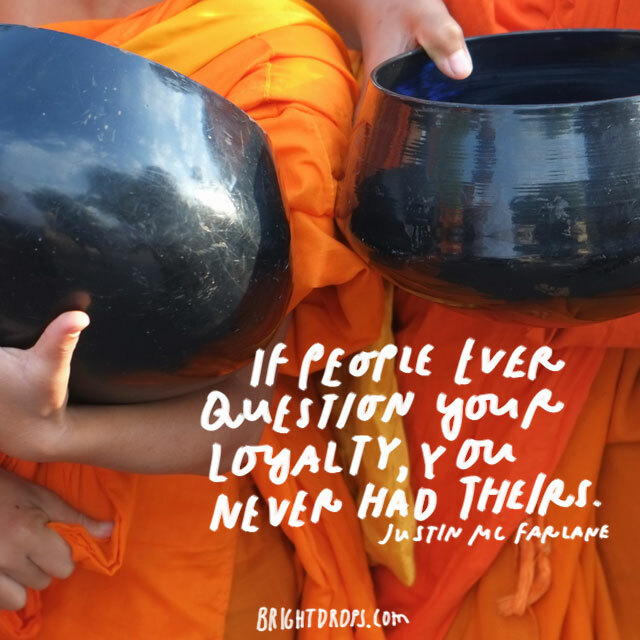 Loyalty is a tricky subject and it means a lot in many cultures. There are few things that are worse than breaking your loyalty to someone. 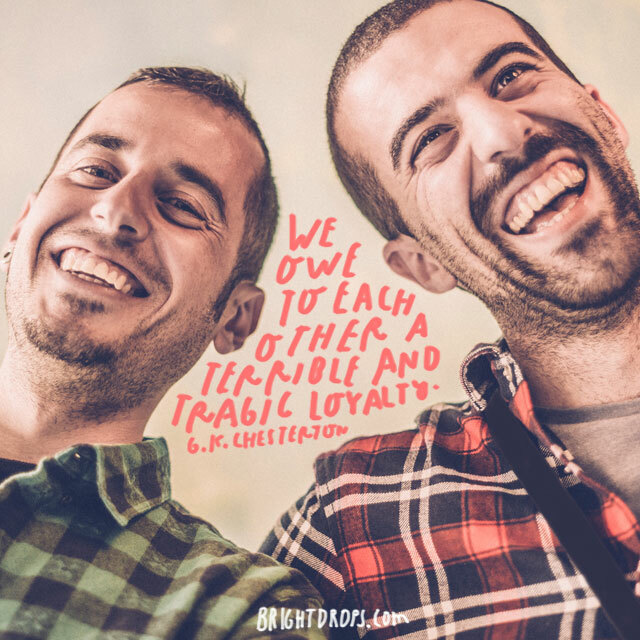 Loyalty means that we stick by our friends even when they are at their lowest point. When people are having a hard time, this is the time to show support and rally around them. This is not the time to give up on them because they cannot offer you any benefit. 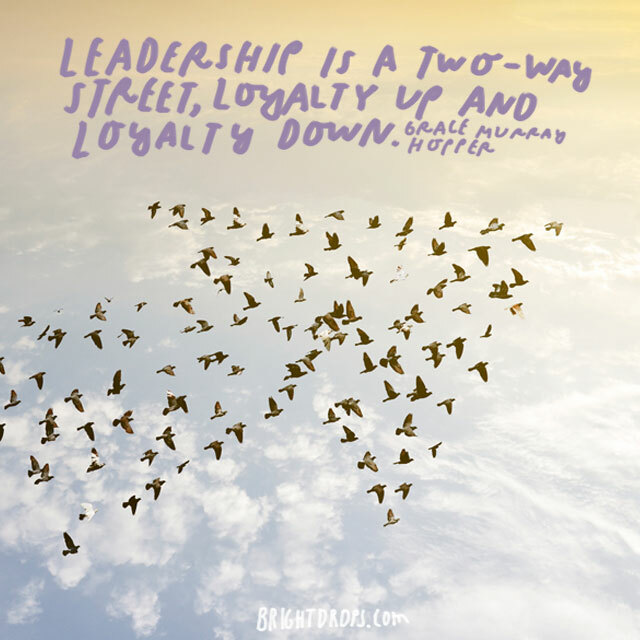 Loyalty is a two way street. 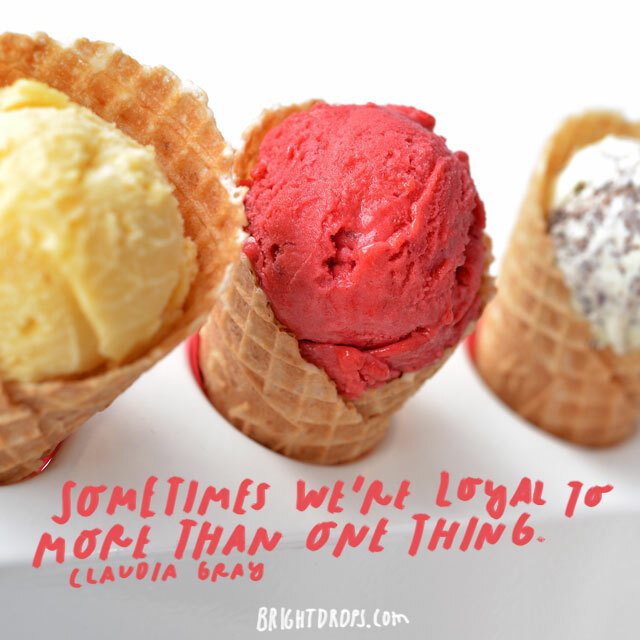 Loyalty can mean many things. 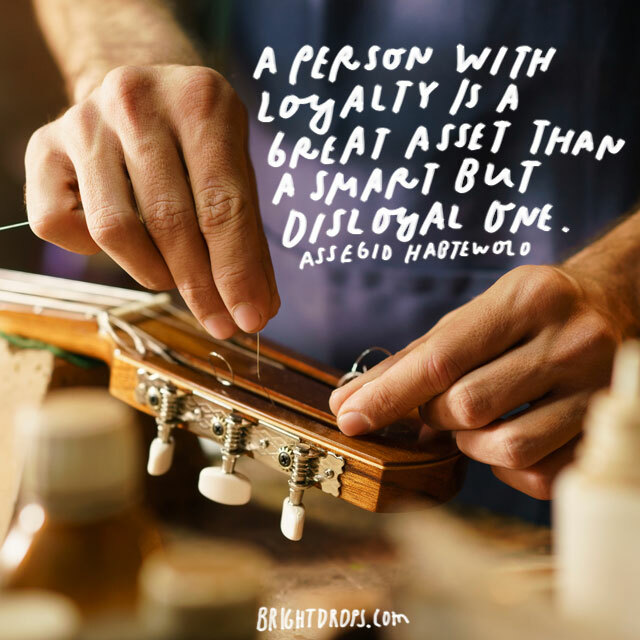 People can be loyal to their bosses or the people that pay them, but that is not always true loyalty. When you receiving a direct monetary benefit from people, it is hard to be genuinely loyal to them anymore. It is easy to be loyal when everything is going well. Once things start to take a turn for the worse, that is when we realize who is really by our side and who was just pretending to be loyal. Pay close attention to these times because it will prove who is truly there for you. 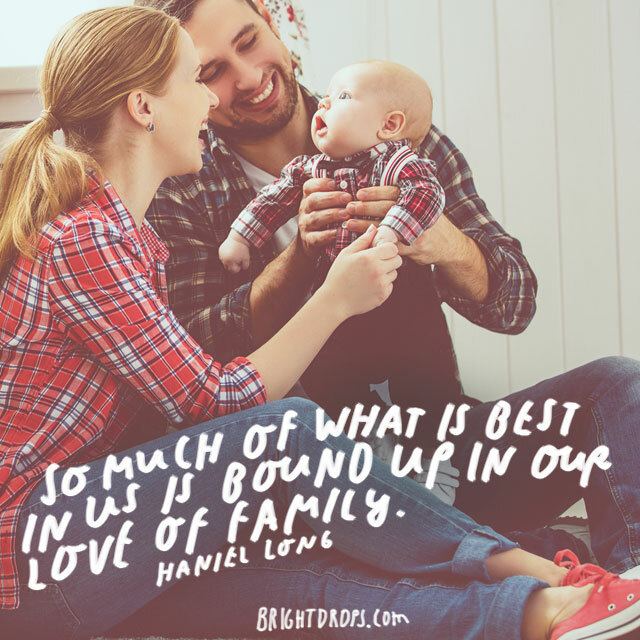 Usually the best part about us, is the love we have for our families. 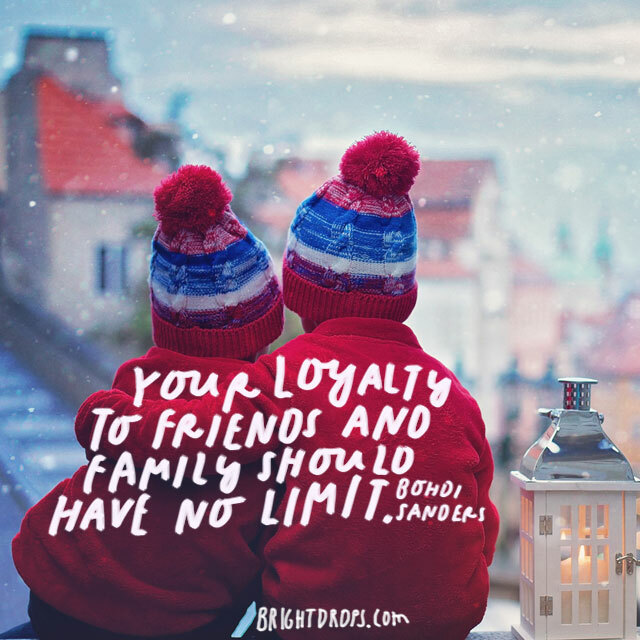 Nobody is as loyal to you as your family is, and you are not loyal to anyone quite like you are to your family. Family is incredible and if you are lucky enough to have a family that has your back, don’t take it for granted. 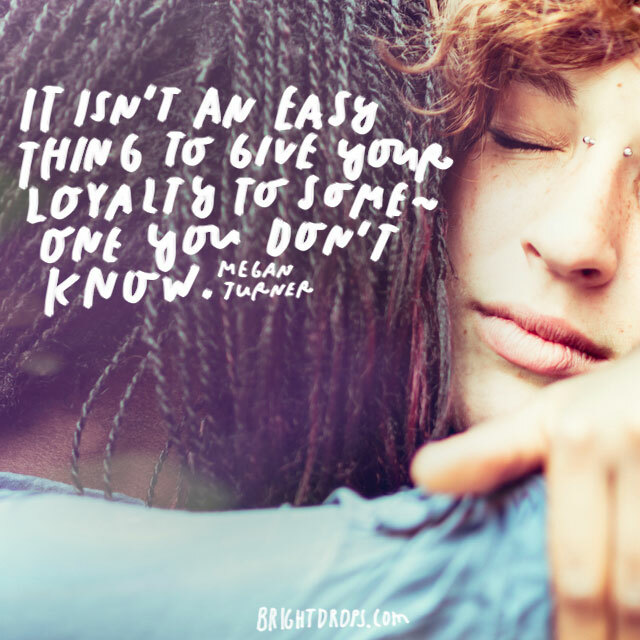 It is definitely not an easy task to hand out loyalty to someone you do not know. This should not usually be how loyalty works. Loyalty has to be earned through trust. You must prove you are loyal and other people must prove that they are loyal to you. Loyalty is admirable. 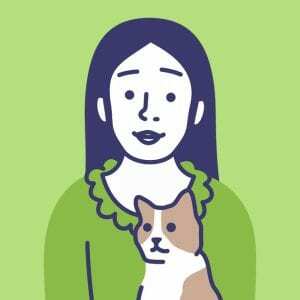 When we see how loyal dogs are to their owners, we appreciate it. To be called a loyal person is one of the best compliments you can get as a person because it shows that you trust and care for the people you let into your life. 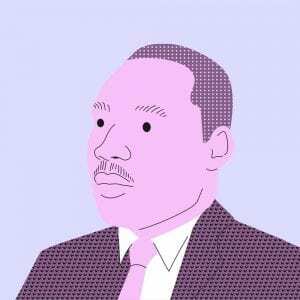 It is ok to say you would not die for someone, that means that you are not loyal to them and you are telling them right away, which is the right thing to do. 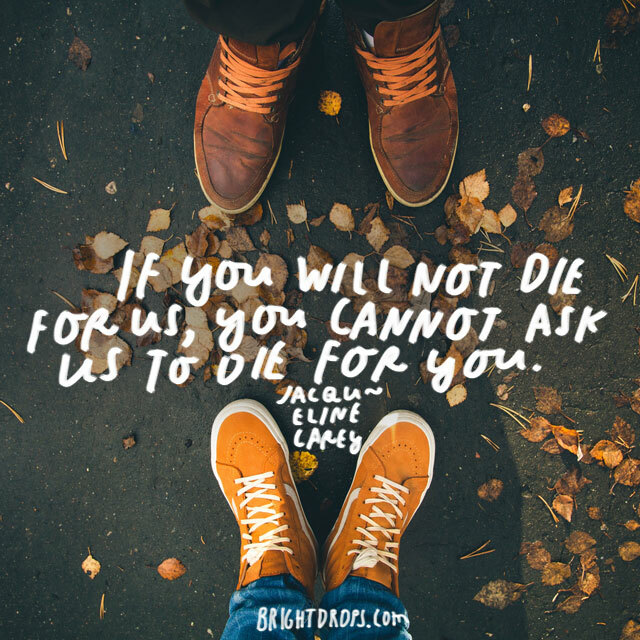 But you cannot ask people to die for you when you are not willing to die for them. That is an unfair ask and the ones you are asking will usually not take too kindly to it. What are these really worth? The happiness we get knowing other people care about us? Loyalty and caring are keys to life. Loyalty and caring gives us security and belief that the people we care about will be there for us when we need it. They will help us out in any form to get us back on our feet. There are many forms of loyalty, and one is about safety. Parents have a loyalty to their children to keep them safe and out of harm’s way, especially when they are too young to differentiate between right and wrong places to be. 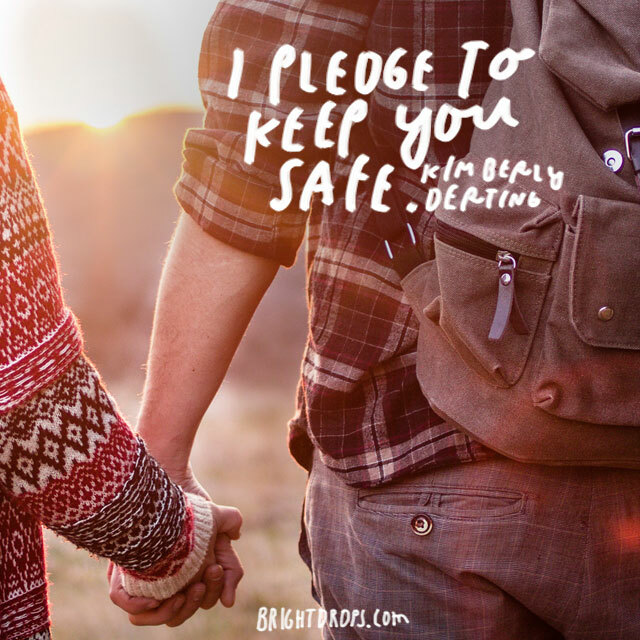 Pledging to keep someone safe will give them security and trust in you. Trust is something that can take years to build, but can take a second to lose. 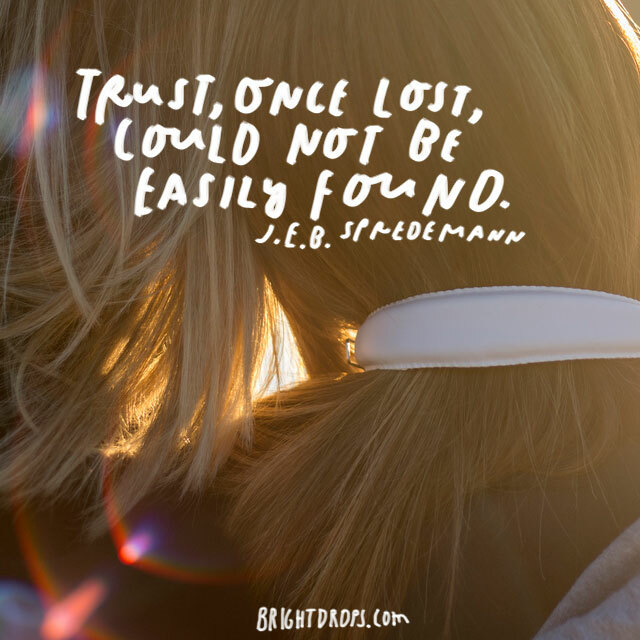 Once trust is lost, it is not so easy to get back. Trust is gained through loyalty and friendship over a long period of time and can be gone with one bad decision. Loyalty is one of the hardest things to get and to give. It is not earned quickly, but can be lost quickly. Loyalty is important because we know who is there for us and who is not. It is tiresome because we are thinking about our own well-being when deciding who we want to receive and give loyalty to. It is never a bad thing to help out family and try to do be proud of you name. Being loyal to family members and sticking with them even if they were in the wrong is not cowardice, it is loyalty at its purest form. This is the kind of loyalty that you want on your side. 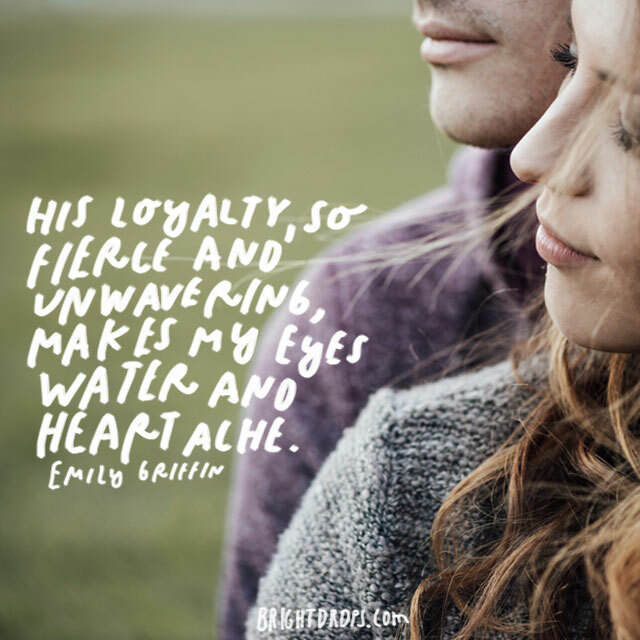 The kind of loyalty that never goes away and it is so fierce that you feel it whenever you are together. Some people can become so loyal to another person that they do not even realize their actions because all they want is to protect them. There is loyalty to an idea or a belief and there is loyalty to another person. Loyalty to a belief or an idea, even when it is wrong, is not the type of loyalty that many people admire. 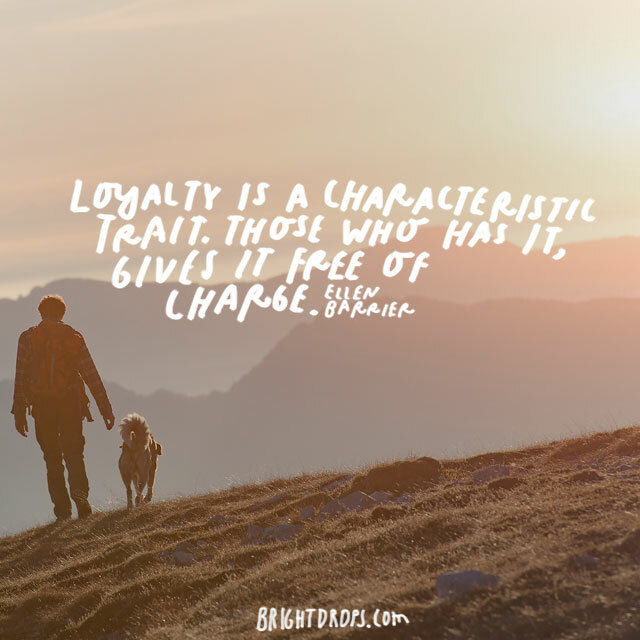 Loyalty to a person through thick and thin is what makes loyalty so important. 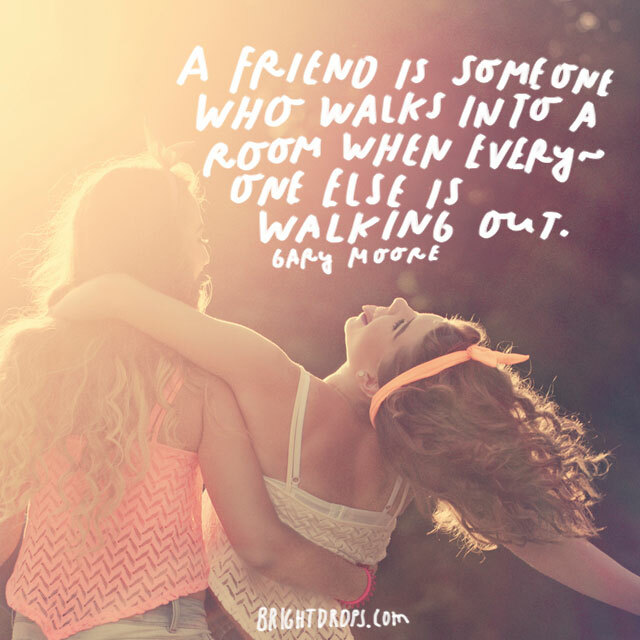 When everyone one else is walking out on you, a loyal friend will be the one walking in. We do not get to choose when to be loyal and when not to be. If we are loyal to another person, then we are loyal to them always no matter what the circumstances are. 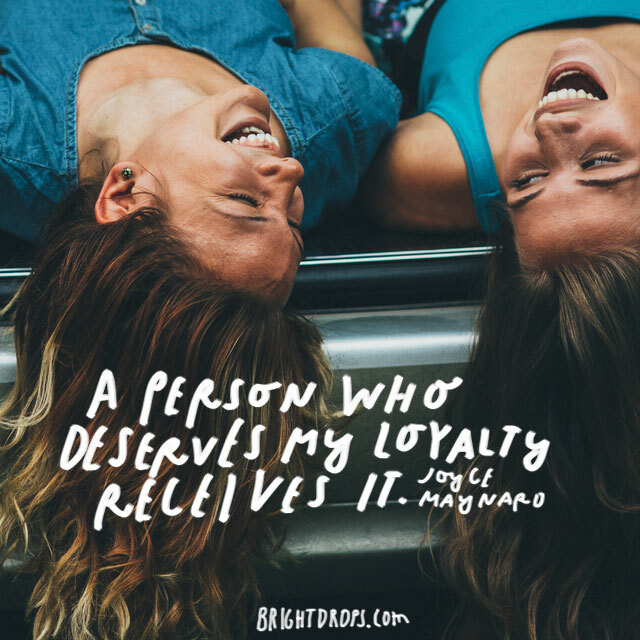 According to Joyce Maynard, if someone is deserving of her loyalty, then they will get it. No thinking about it, no double checking, loyalty is given to those who are loyal. Loyalty is not a complicated matter, we stay true to the people that stay true to us. 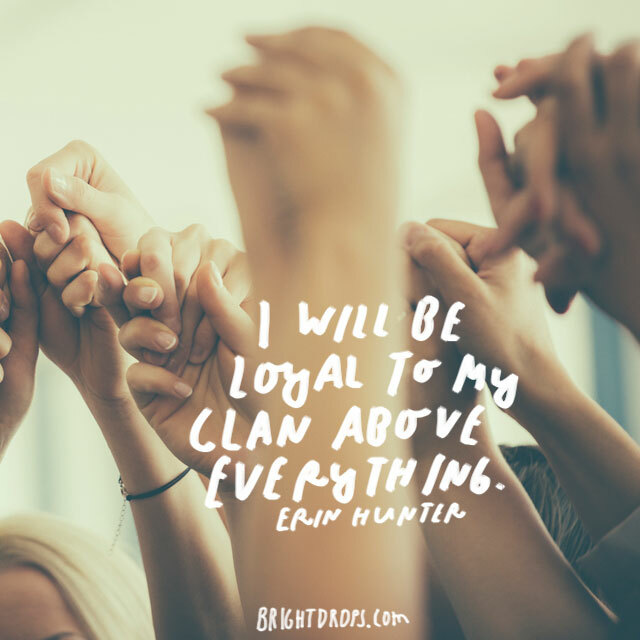 Erin Hunter has found the people that most us are looking for. We want a group of people that we will do anything for and they will do anything for us. Being able to find your group is amazing because it means you found the people you want to experience life with. 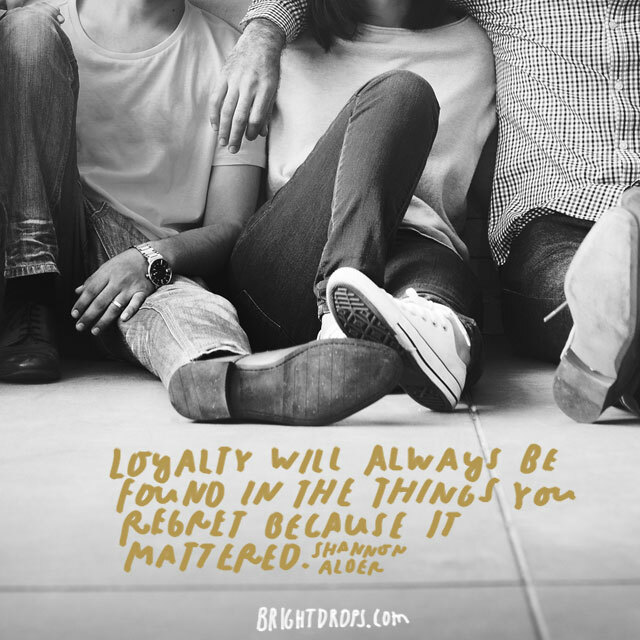 Loyalty is regarded as the most important aspect in any relationship. There are people that are clever, smart, rich or any other attribute that makes them attractive to other people, but loyalty remains number one. You cannot teach or learn loyalty, you either have it or you don’t. 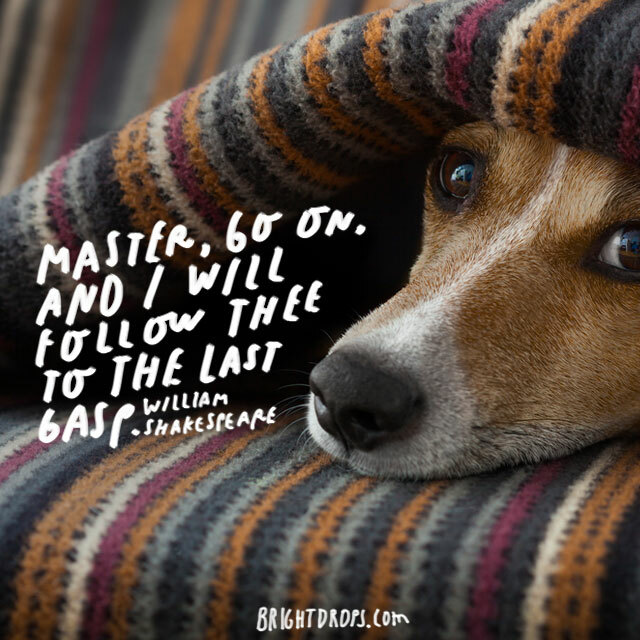 The famous wordsmith puts his own spin on loyalty, describing a scenario of someone following their leader no matter where the road takes them. They will follow until their last breath because of how loyal they are. If you find people like this in your life, do not let them go. 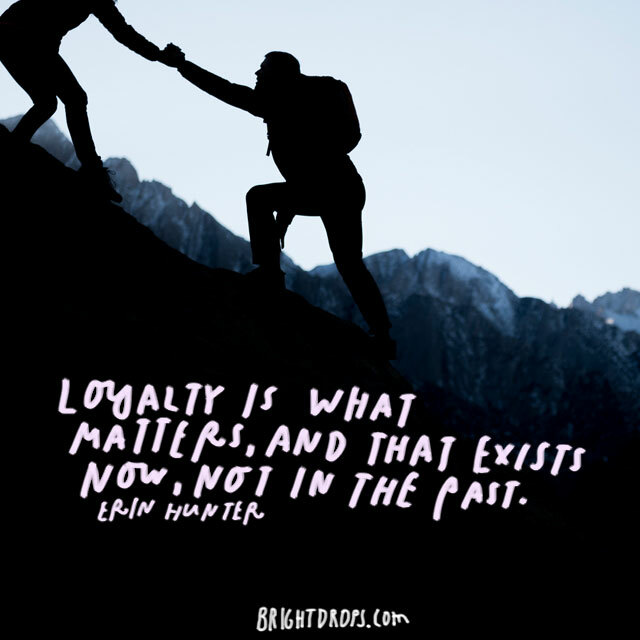 Loyalty is not earned overnight and it is definitely not earned easily. It is earned day by day and year by year. 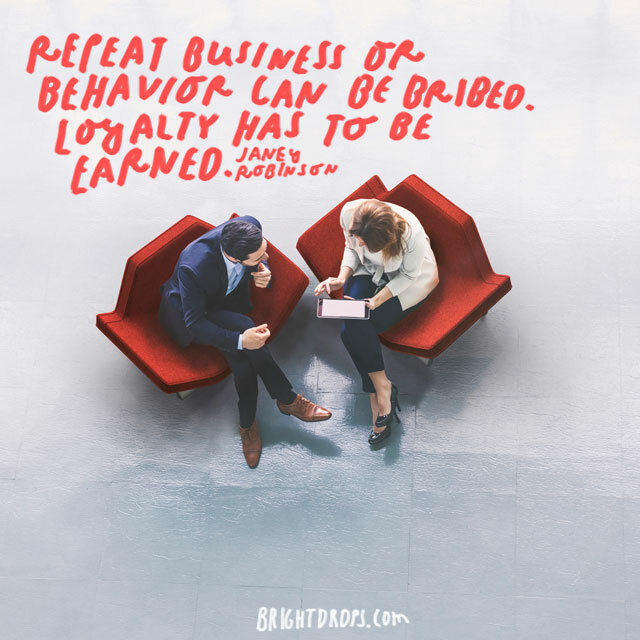 Loyalty grows over time from behavior and decision making. 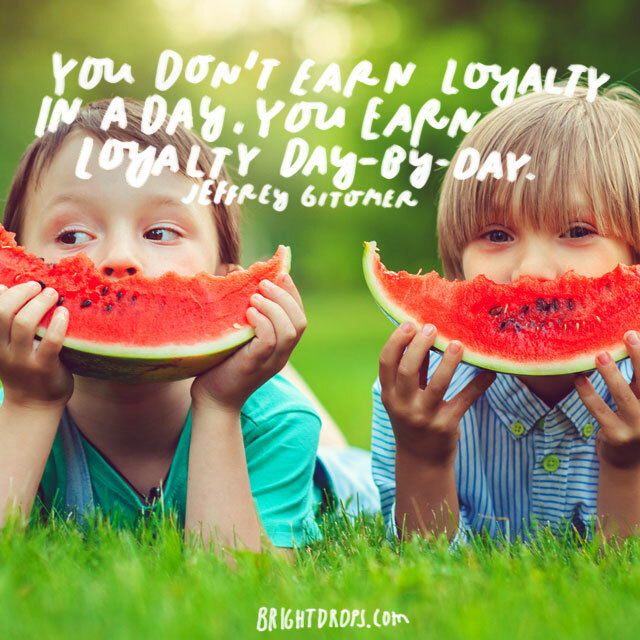 Think of loyalty as a column of health on a video game, everyday you practice it, your loyalty meter goes up. When people are loyal to each other, then there is no need for any type of weapon to be present. If you are loyal, then you should know you will not need to hurt the other person and they know they will not need to hurt you. Loyalty should be shared evenly between the two parties involved. In every team, there needs to be these three. 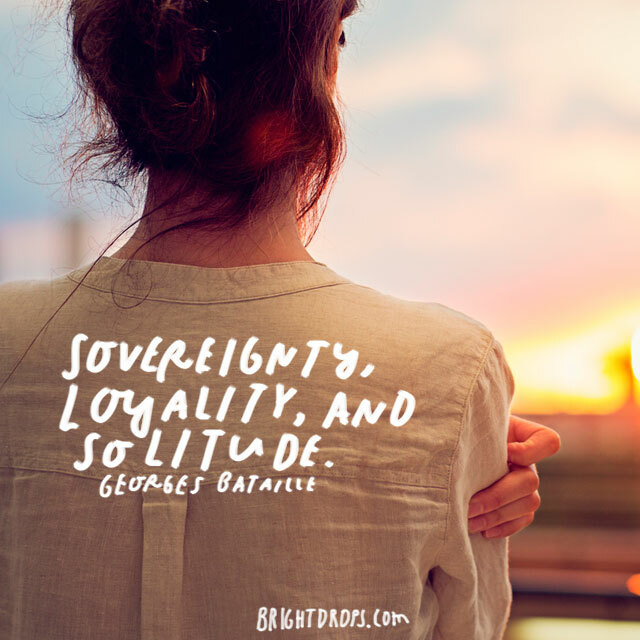 Sovereignty to have someone leading the pack and giving direction. Loyalty to assure that everyone has each others’ back. Solitude so that everyone can reflect on their thinking and figure out how to do a better job. Leadership starts at the top and makes its way all the way down. Loyalty must be given and received by all people involved for the plan to work. If the workers don’t respect the leader, they will not work hard. If the leaders don’t respect the workers, they will not work hard. 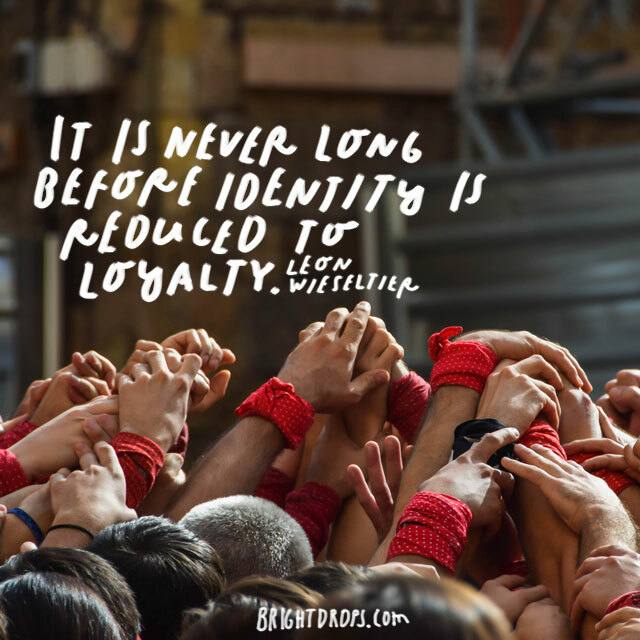 Loyalty must be earned and understood in any team environment. Some people are born loyal people and others have to learn it through trial and error. The people that have loyalty in their blood, will usually give it without having to receive it. They do this because it is in their nature to give loyalty no matter how the other person acts. When you display loyalty in public, you will reap the benefit in private. 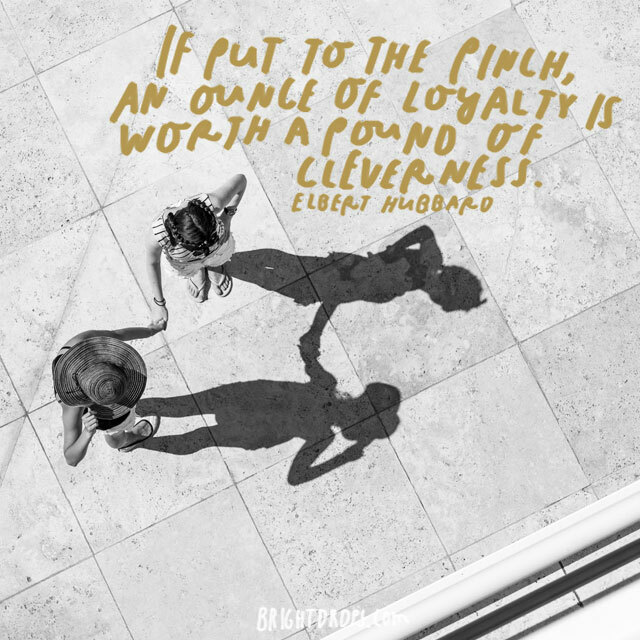 Loyalty can always provide benefit for yourself. 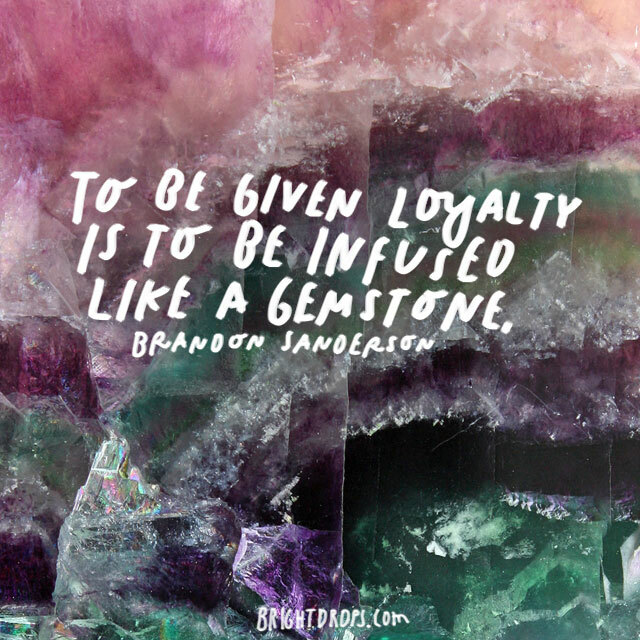 In the simplest form, it can be loyalty back toward you. In the highest form, it can be monetary value or even safety for your family and loved ones. Business or past behavior can be bribed and bought. 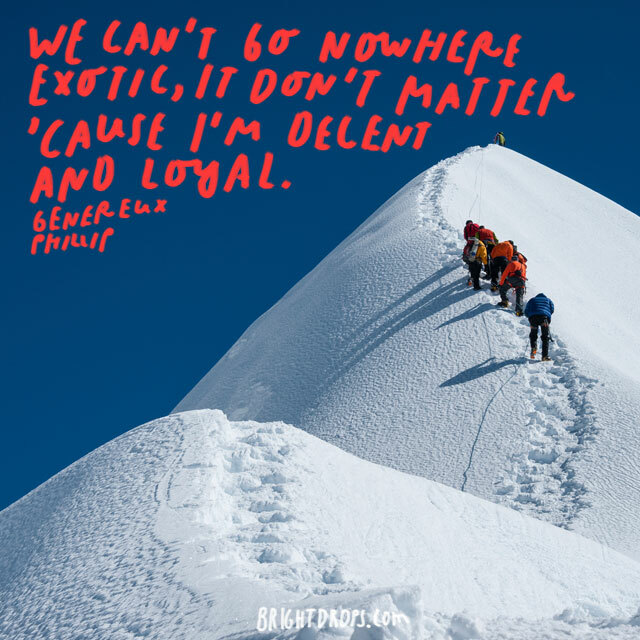 Loyalty is not like this. You cannot buy someone’s loyalty and your loyalty cannot be bought because if it is then it is not true loyalty. 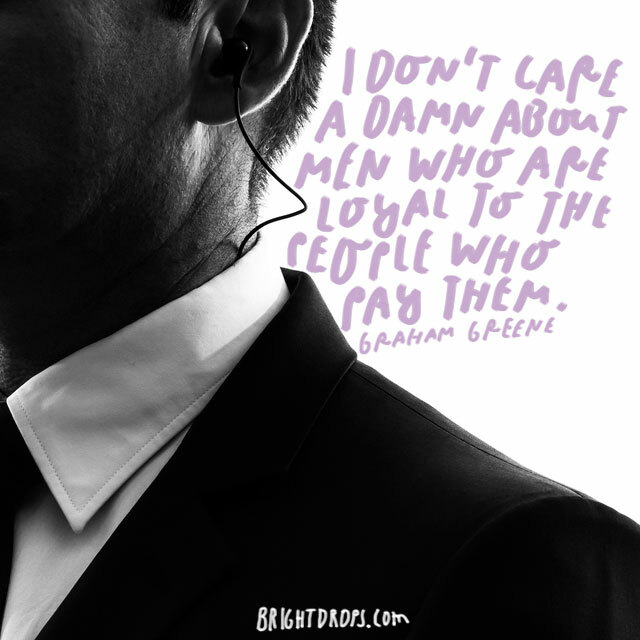 Like Graham Greene said, you cannot trust the loyalty of a man who is paid to give it. When you find people that are similar-minded, you must stick by them. These are the people that you will achieve the life of your dreams with. Nobody will be exactly like you in life, but when you find the people that are close, keep them close. 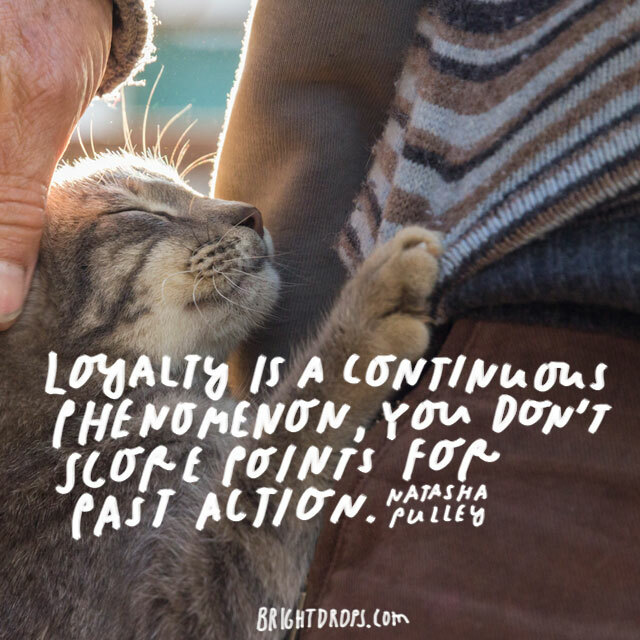 There is usually not a specific time when you can pinpoint when someone become loyal. 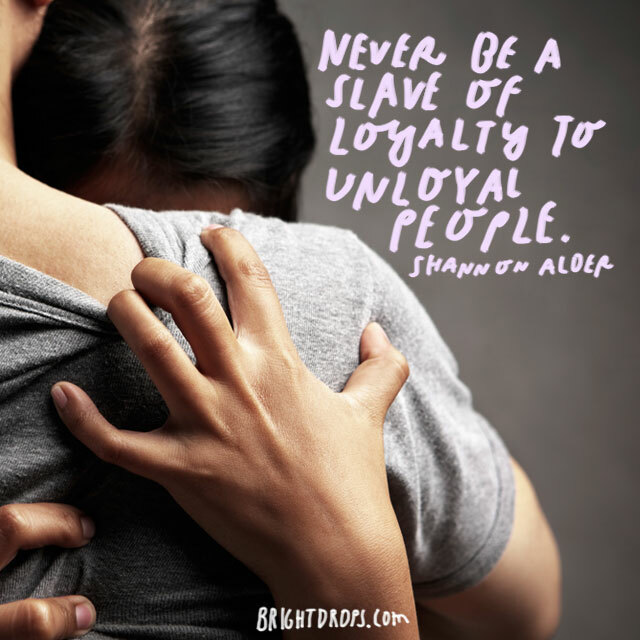 Usually it is done through days and years of loyalty and someone is then considered a loyal friend or associate. One can never fully say how loyalty was born. When broken down. 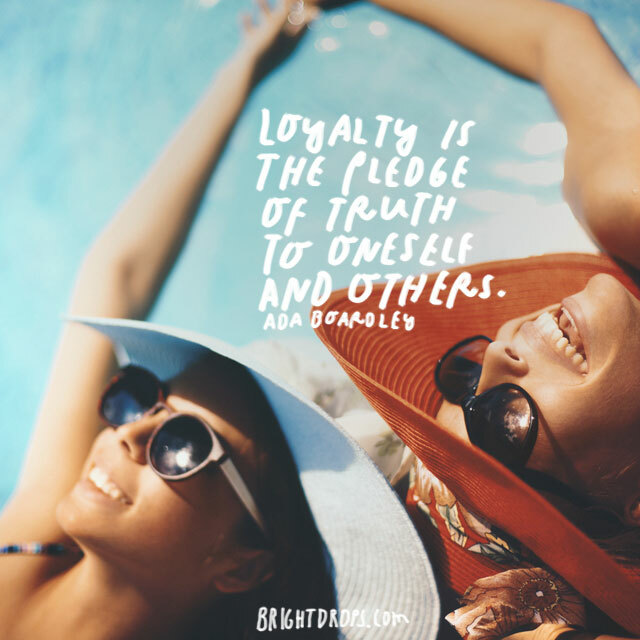 loyalty can be considered a pledge of truth between you and someone else. The pledge revolves around always being truthful with another person and having their back while they do the same. 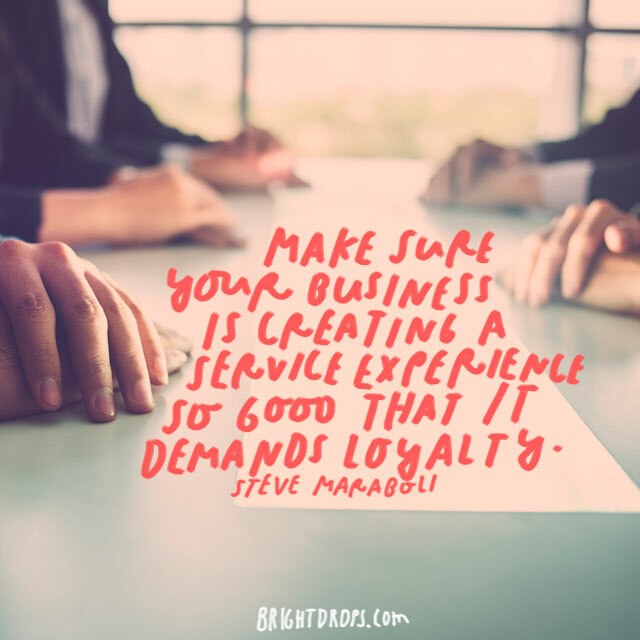 In business, whether you are selling products or selling a service, you want to be creating loyalty among your customers. 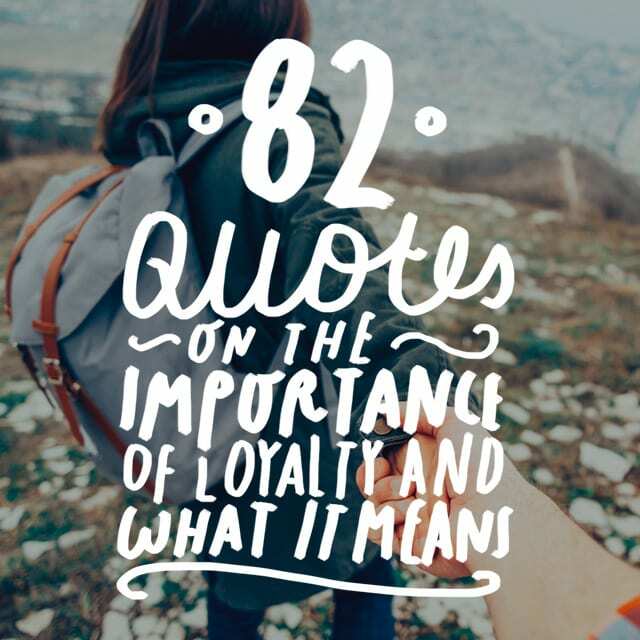 Loyalty is a huge part of running a business because it means returning customers. Every business’ goal is to have loyal customers who are customers for life. Do not always be loyal to thoughts that you have. Thoughts change and you grow as a person. The beliefs you held one day can change the next. as you grow and become more intelligent, your thoughts and decisions will change. 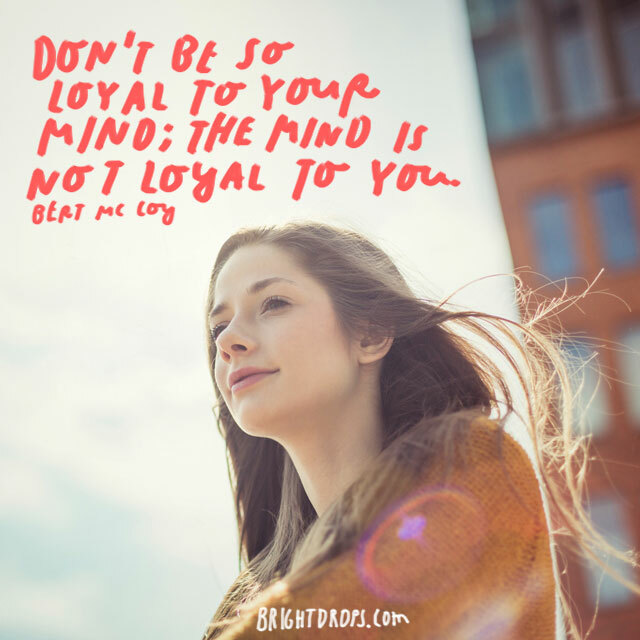 Do not be so loyal to your own mind because your mind will change. 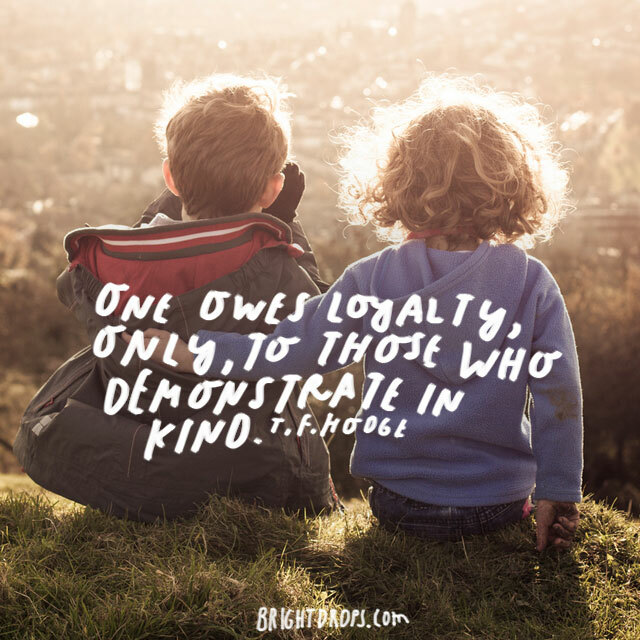 One does not owe loyalty to anyone except the ones that show loyalty to them. There is no sense in giving loyalty to people who would not give it to you. T.F. 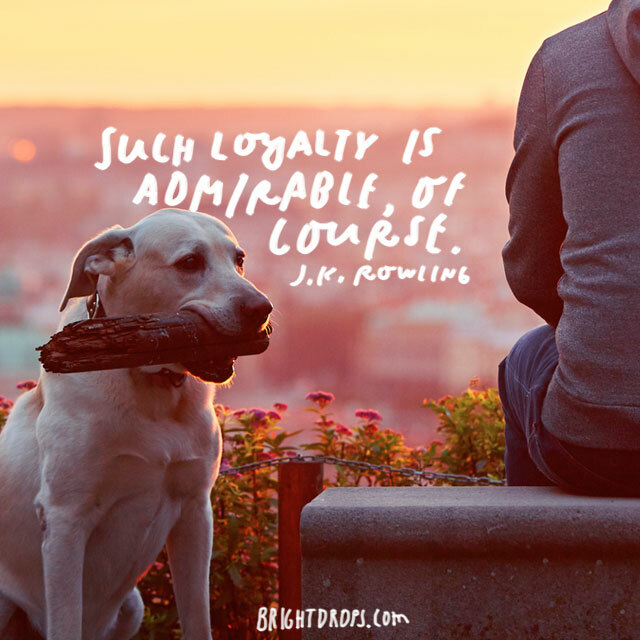 Hodge agrees that in life, we must be loyal to the ones that show us loyalty. 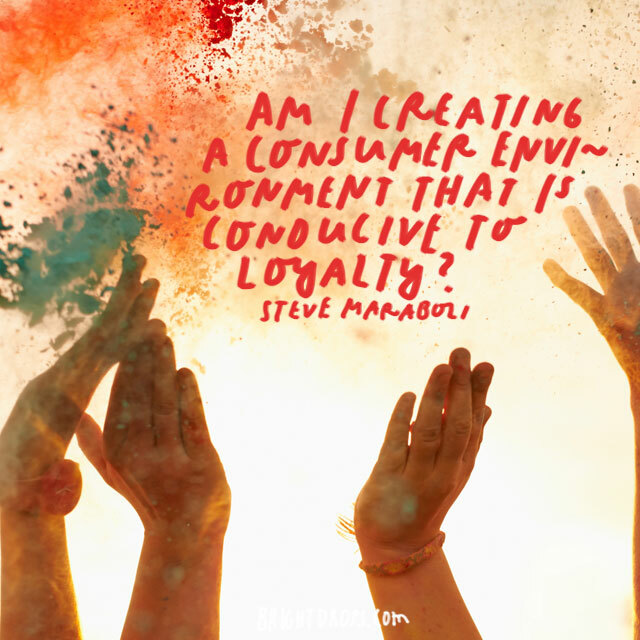 As a business owner, you need to create an environment where your customers become loyal. Separate yourself from the competition in at least one important part of your business. Whether that is the customer service, the product or any other attribute. 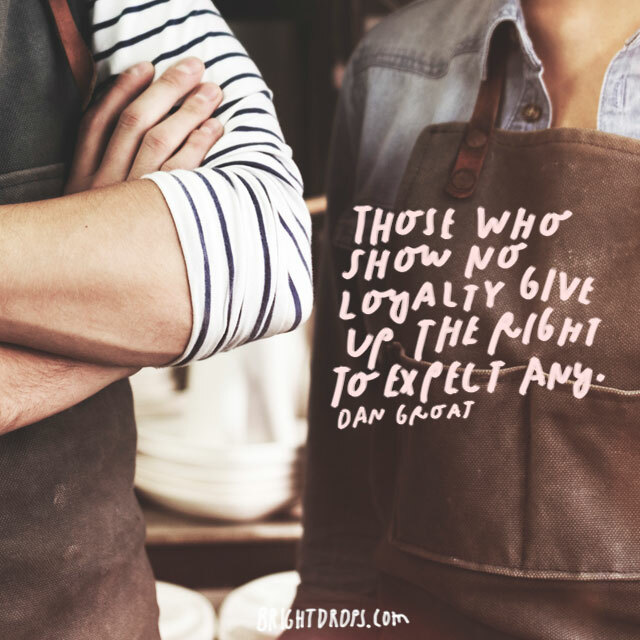 Give your customers a reason to be loyal. 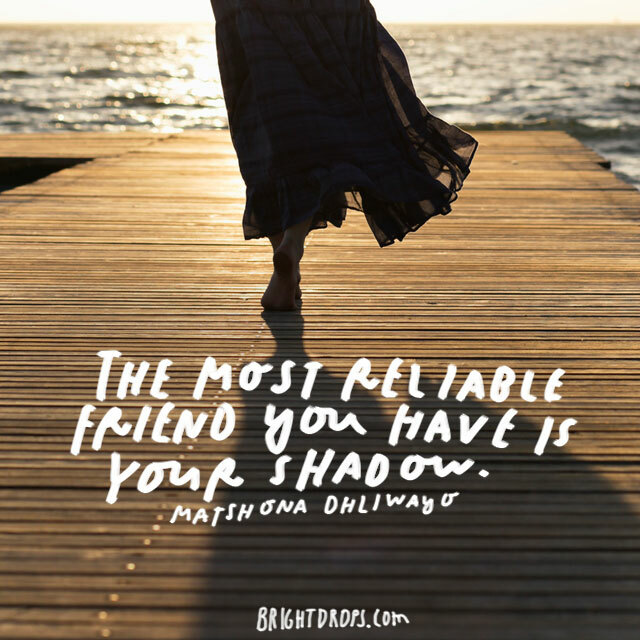 The most reliable friend you will always have is yourself. 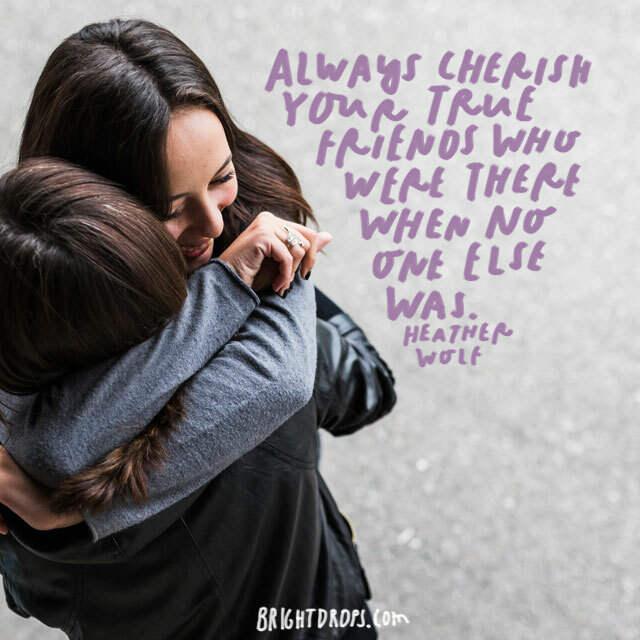 Sometimes even your best friends or family friends members cannot be relied upon. Matshona wants to reassure you that when times get tough, you may have to handle matters yourself. If you draw a line in the sand that means you are signaling a point that you will not go any further. 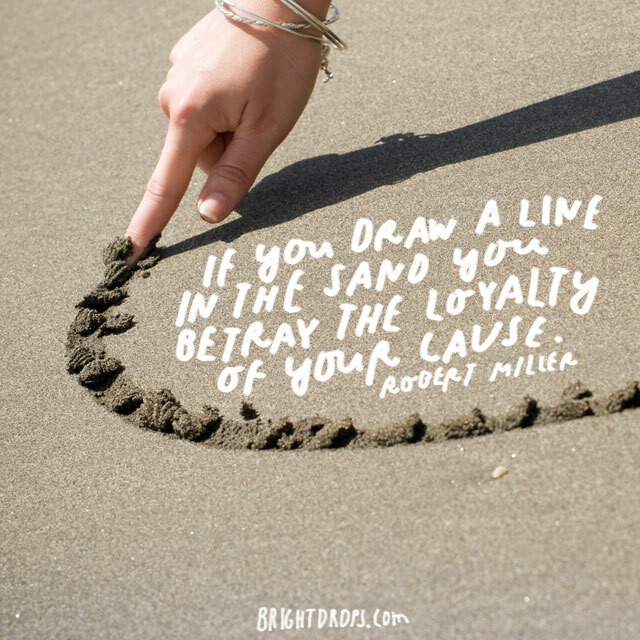 Robert Miller claims this is betraying the loyalty because you do not fully believe in yourself or the cause. If you cannot go any further once you reach a point, then there is no point in beginning. 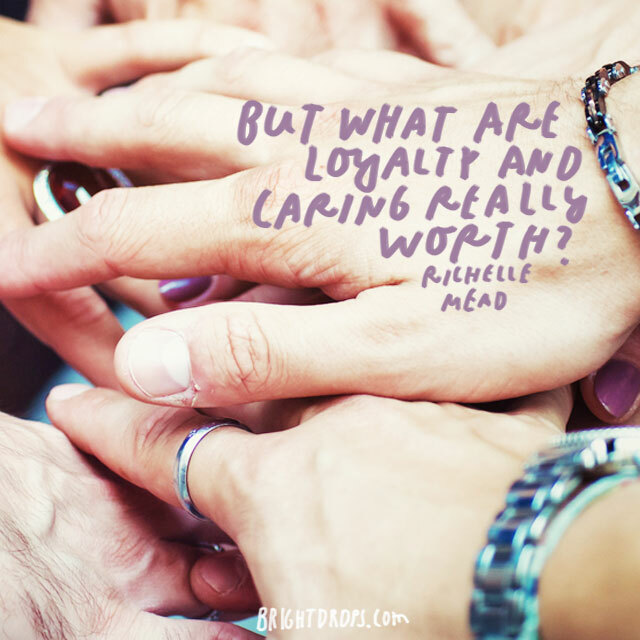 You give loyalty to the things and the people that you care about. Loyalty would never be given to something that does not mean anything to you. You regret something because you cared about it and wished it had gone in a different direction. Loyalty is key to our survival because nobody survives in this world on their own. It takes a team to reach a goal and it takes a family to survive the world. 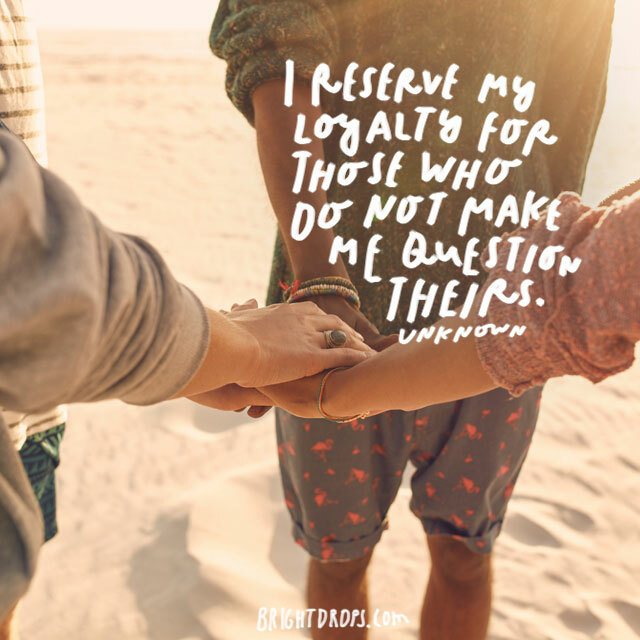 Staying loyal to the people who stay loyal to you is the key to living a fulfilling life. Think about the time in your life when you were at your lowest. Think about the people who were there. Those are the people you want by your side at all times. Those are people who should be with you to enjoy your success. They deserve it. 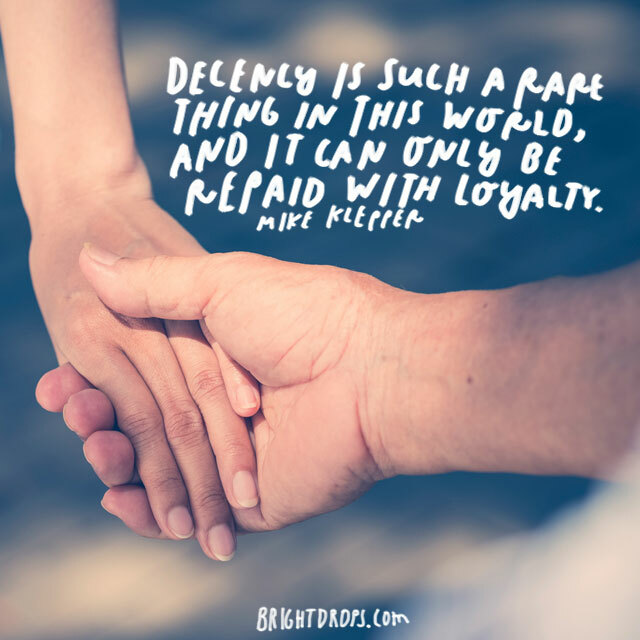 Decency should be met with loyalty when it is a consistent behavior. Decency is behavior that falls under the categories of morality and responsibilities. When people are decent, it is fair to be decent and loyal back to them. In life, you get what you give. This is the basis of karma. If you show no loyalty, then you have no valid reason to expect any loyalty. If you people to act loyal toward you, then you should be loyal to them to prove that you deserve their loyalty. The Majority of us are loyal to more than one thing and more than one person. This is normal but can get tricky when we have to choose between two things or two people. We many have to sacrifice the loyalty of own to keep the loyalty of the other. 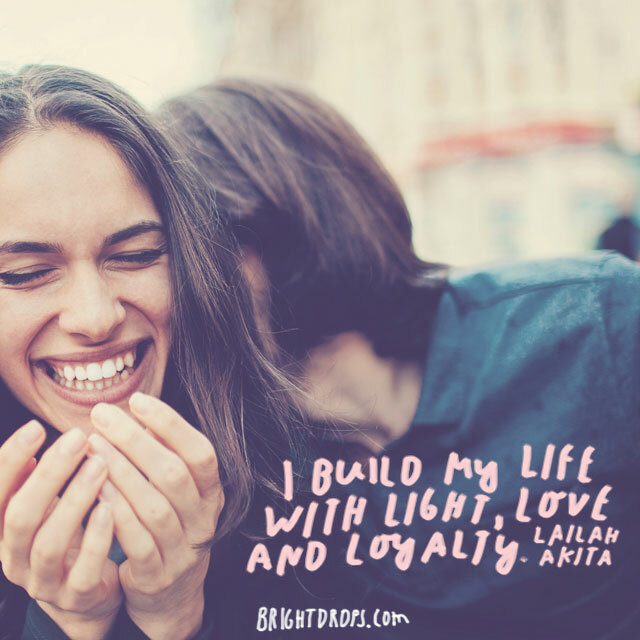 Live should be filled with love, experienced with light and built with loyalty. 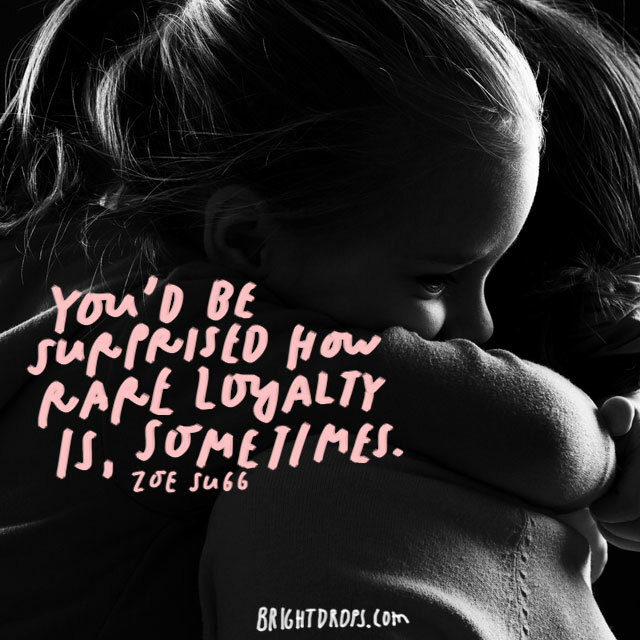 Loyalty is always an interesting topic because we sometimes assume that family members are loyal. 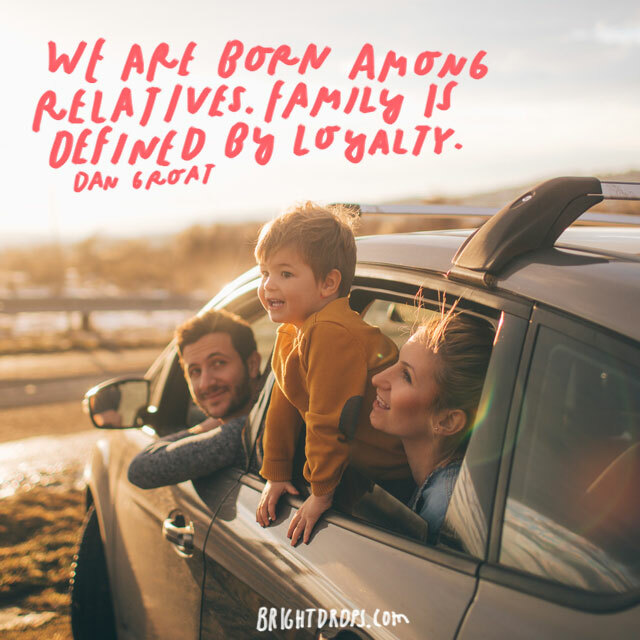 Even though we are born into a family, we have to give them reason to be loyal to us. That means being good family members and always putting family first. Loyalty is not earned through staying by your side one time. You do not get a gold medal for being loyal. Loyalty is something you do for the people you care about. Loyalty is not about benefits for people, it is about doing right by the people you love. 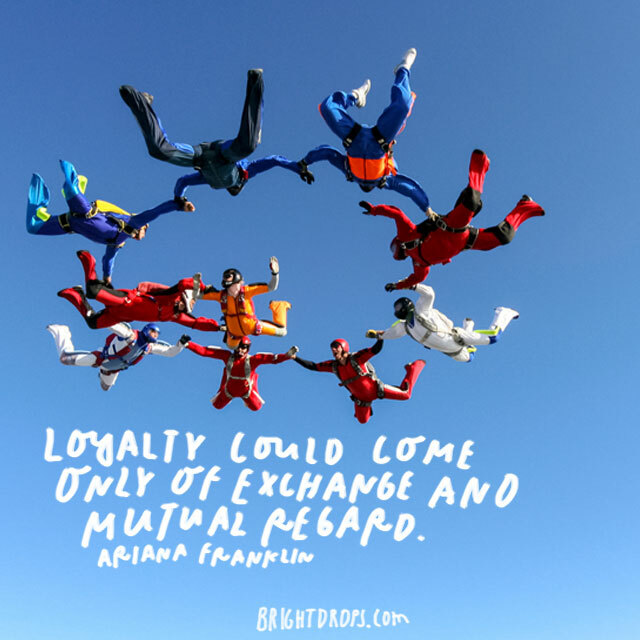 Loyalty is a very popular concept in many cultures, but it is actually very rare among people. It is easy to be loyal when there are all good times and good situations, but when times get tough, people show their true colors. Who you thought was loyal to you ended up not being who you thought. 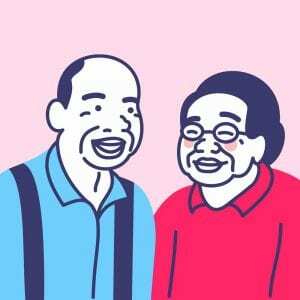 Are family is our relatives. We are connected by blood and by chance. We become a family by protecting and watching out for one another. Loyalty makes families, not blood. Families are made up of loyal people who would do anything for their own. Always be grateful when someone offers their loyalty to you, but be strong when someone betrays you. It is easy to become angry when someone betrays you, but the trick is to smile and not act hurt to show your strength. Friendship is all about loyalty. You become friends because you care about another person and want what is best for them. You stand up and protect them because they would do the same for you. 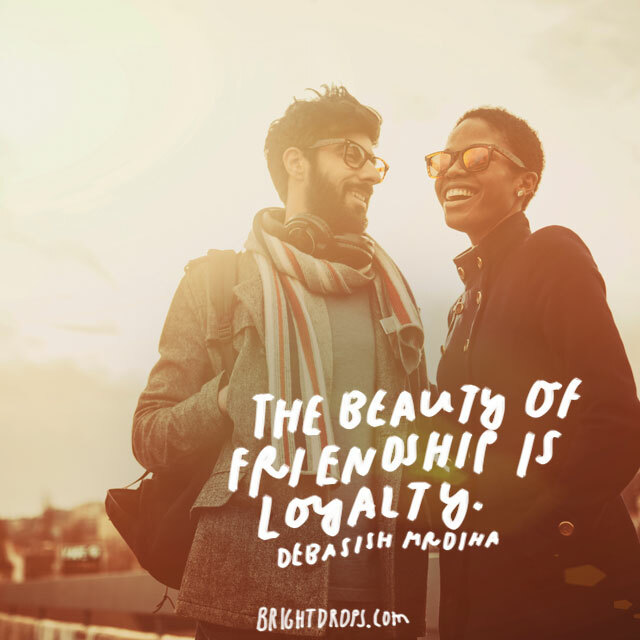 Loyalty is a major aspect of a friendship. We must choose our friends and our associates wisely, because once we choose there is no turning back. 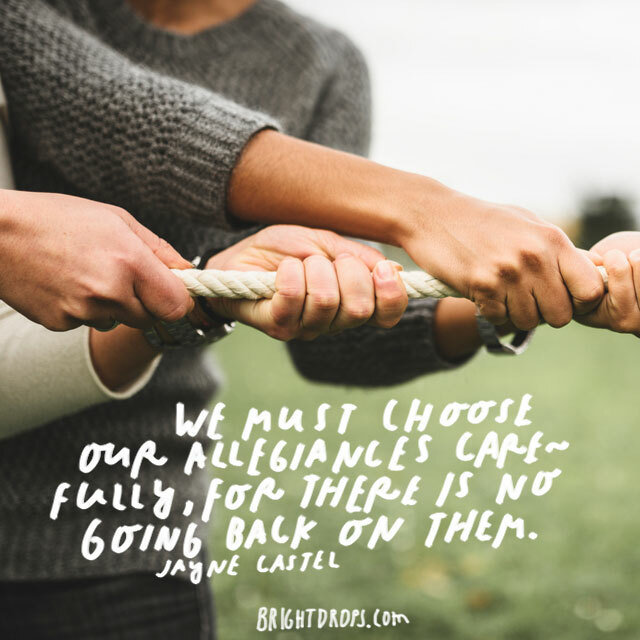 We have become loyal to them and we have become loyal to us. 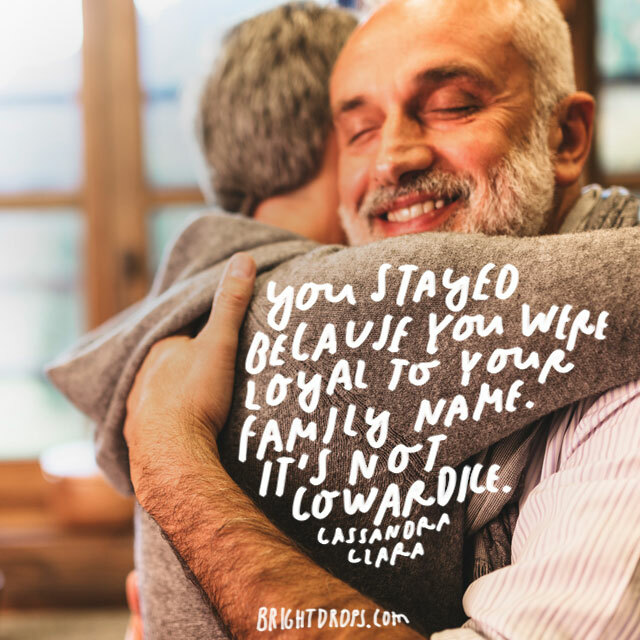 Betrayal is a hard pill to swallow and we do not want to put that burden on other people. 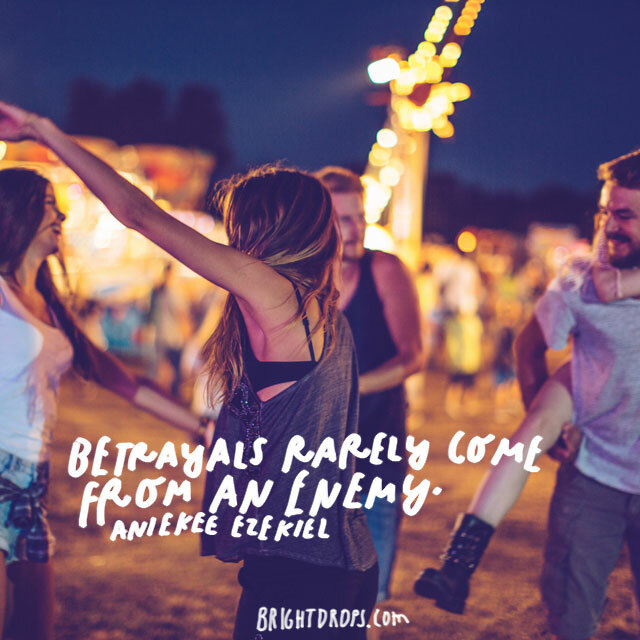 When we think of times that we have been betrayed, they are rarely, if ever, by someone we did not trust in the first place. Betrayals are usually constructed by the people we trust and the people we are loyal to. They break the trust for their own needs and leave us behind. Taking care of a garden is a job that must be done every day. You usually cannot take a day off because the plants need water and care every day. 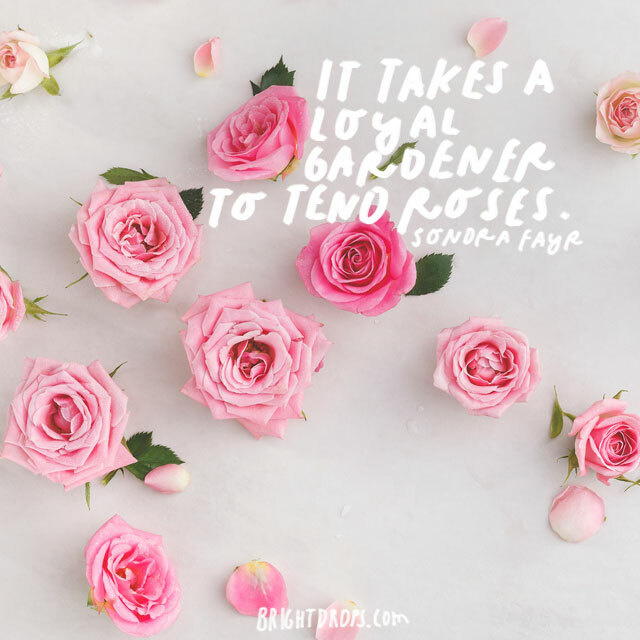 If someone has a beautiful garden, you can assume that they are loyal to it and are constantly tending to it. 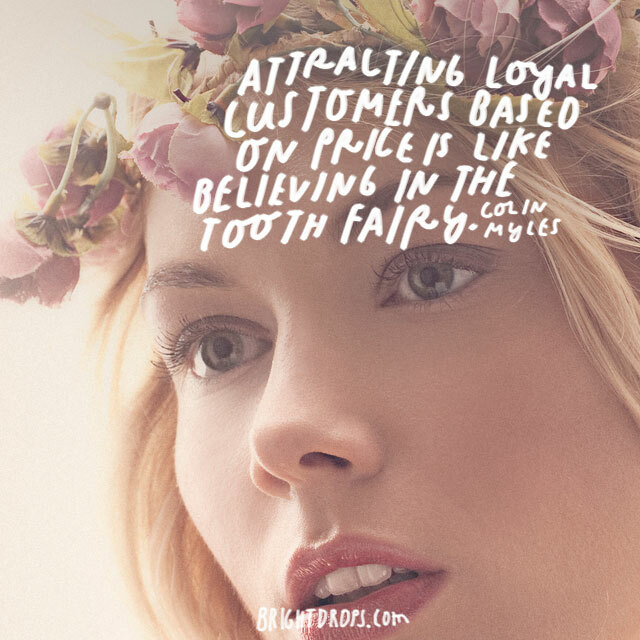 In business, it is not always the best tactic to have the lowest price and expect to attract a loyal fan base. Customers want businesses that treat them like people and not customers. The lowest price is a good start, but you have to offer additional value to make people stay around for the long term. It is impossible to be loyal to everyone because you would never be able to stand up for anyone or take anyone’s side. Loyalty is limited and we have to pick the people we are loyal to wisely. Tyconis Allison understands this fact. Our lives get to a point where we are know by who we are friends with and therefore who we are loyal to. We spend our lives making friends and choosing the people we want to hang around with. These people become our best friends and they make up our identity. 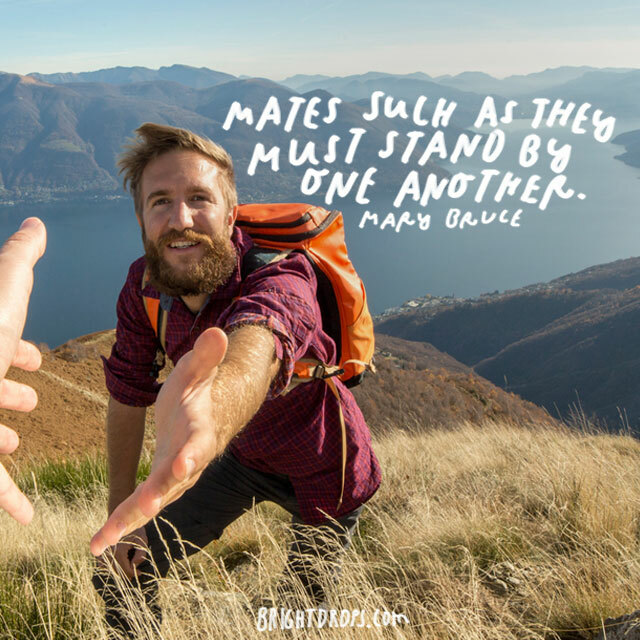 Becca Fitzpatrick talks about a scenario where someone is trying to stay in the middle and defend both people who are in a quarrel. In the end, as she explains, loyalty is about picking a side and the person in this situation will have to do so. Loyalty should be saved and put away for the people who truly deserve it. It can be hard trying to decide who to stay loyal to but it is up to you to reserve it for the ones that are loyal to you. Loyalty is about giving and getting. Never pledge your loyalty and stay loyal to people that do not do the same for you. This is a definite way for you to get hurt in the end and wind up with nobody looking out for you. If people know you are loyal to them even though they are not loyal to you, they will take advantage of it. There should be no line in the sand for the loyalty that you give to your friends and family. At the same time, there should be no line in the sand for the loyalty that you get from your friends and family. You are in a great spot if you can give and receive loyalty from the people you love. Being honesty with people is appreciated and it means they can trust you. 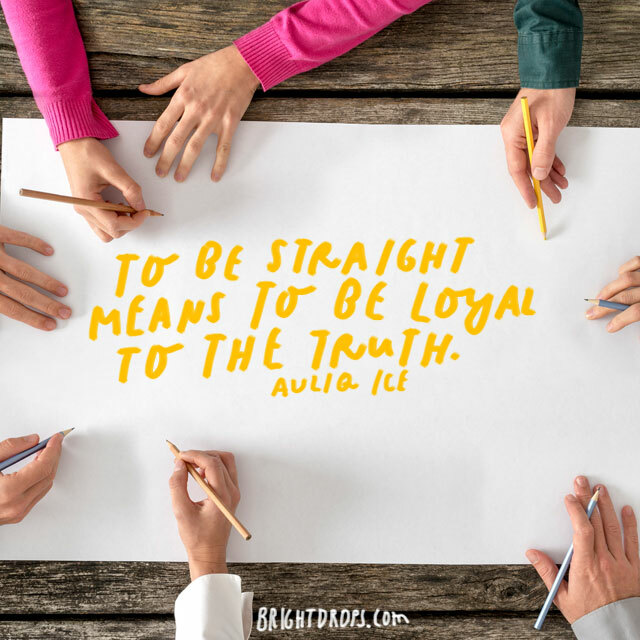 Trust is gained through being honest and being true to who you are and the people around you. 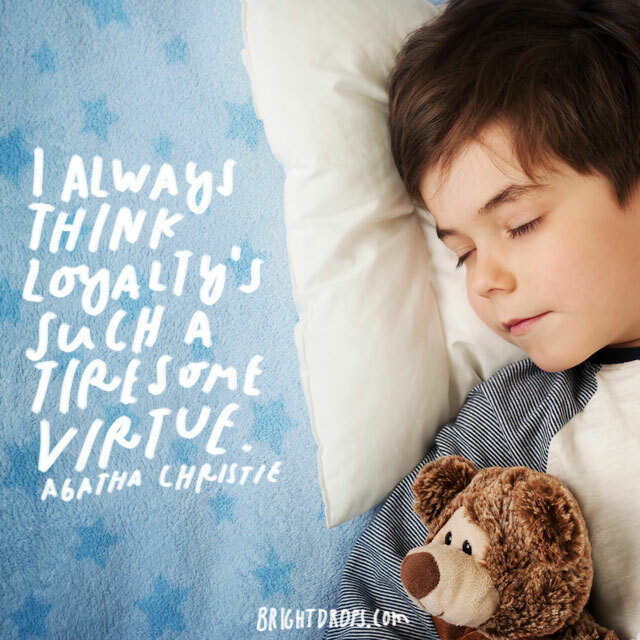 Loyalty is earned in return to being honest and being trustworthy. Loving someone gets you love in return. Staying loyal to someone gets you loyalty in return. In life, what you give you will get back. Karma is a powerful thing and everything that you do and say to people will come back right to you. 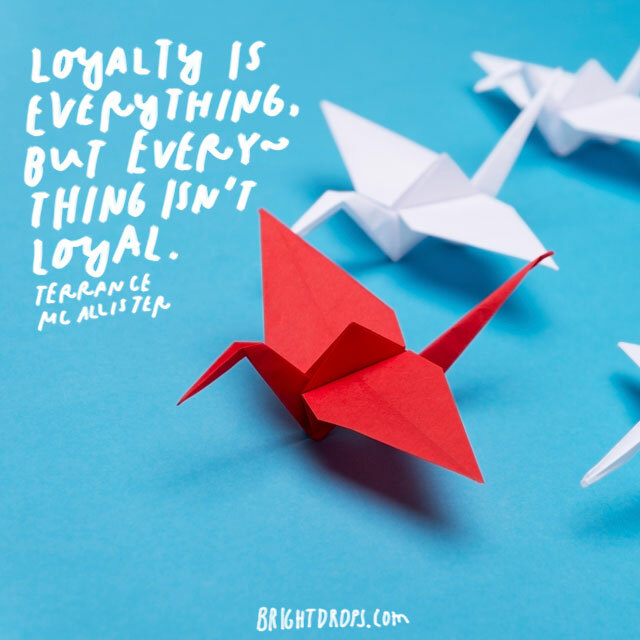 Loyalty is not only popular in western civilization, it is actually more popular in less developed countries because loyalty is a major part of staying alive. 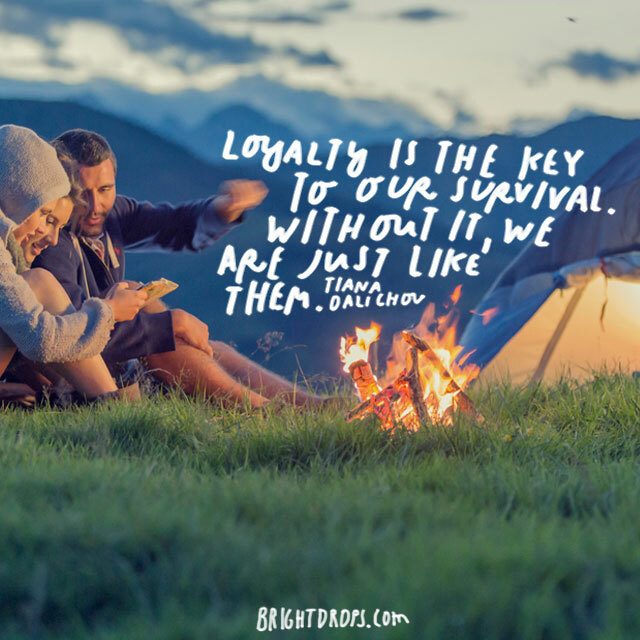 When you live in a tribe, loyalty is the most important part of it. 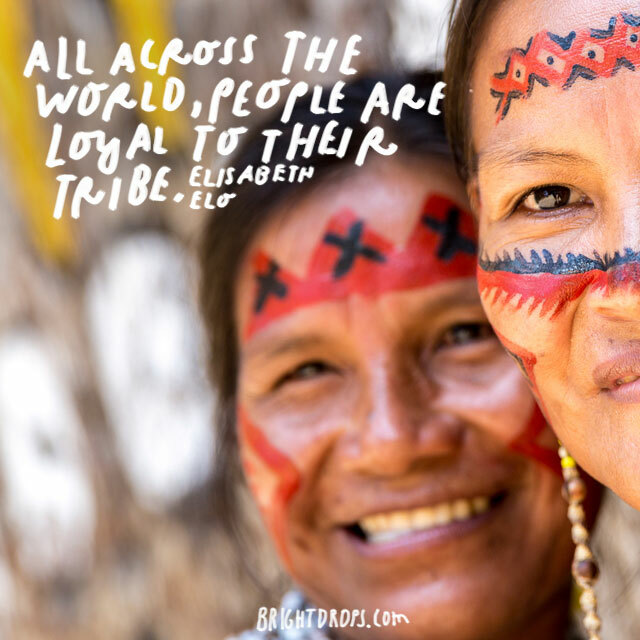 Staying true to your tribe and the people who raised you is the only way. 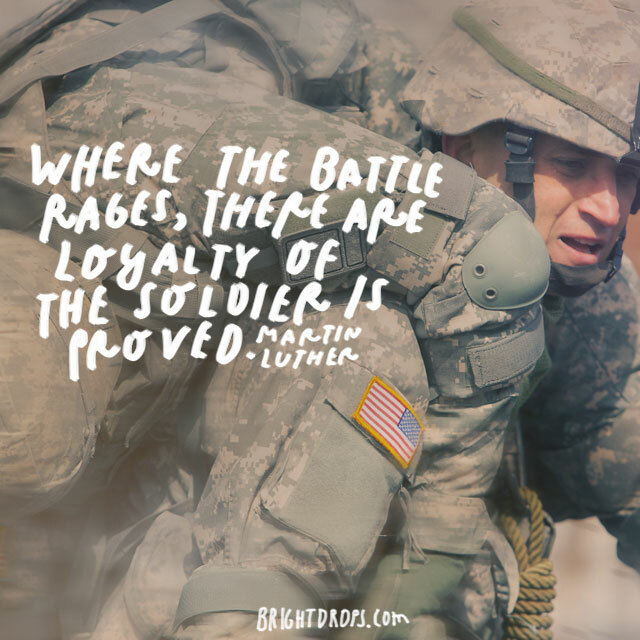 The only time when loyalty is not as prevalent is during time of war. 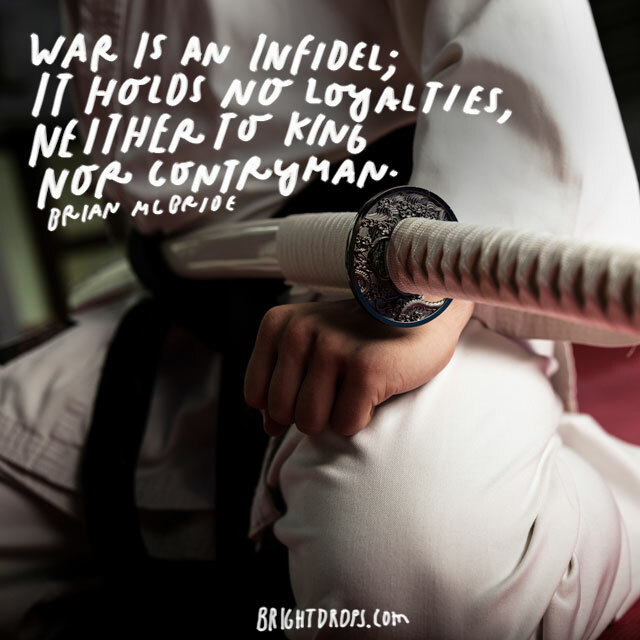 War is unlike anything in the world and it holds no loyalty. There is loyalty among the soldiers without a doubt, but the cold hearted war does not care who you are and what you have done. You cannot expect someone who lies to you to be loyal to you. Honesty is what creates loyalty. 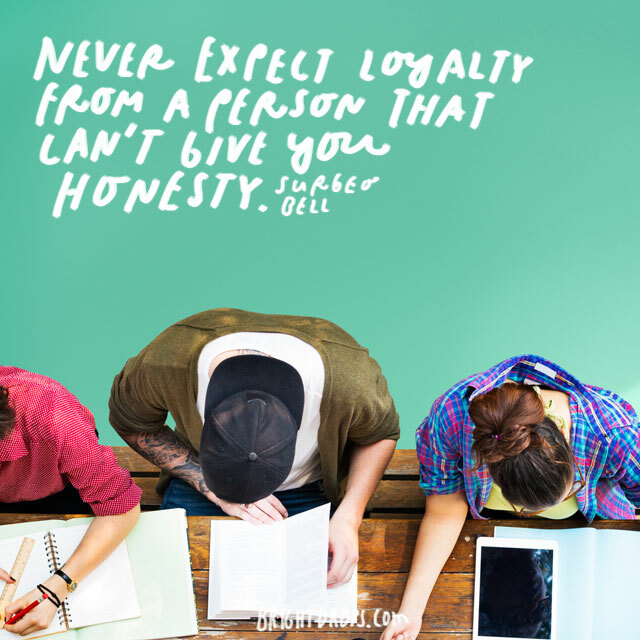 Loyalty needs to be handled with honesty and if you cannot be honest then you do not deserve loyalty. Surgeo Bell understands the qualification of loyalty. People can say that they are loyal all they want, but loyalty is only proven in times when it is needed to be present. Many people will be loyal to you until what they are gaining is no longer available. Don’t let these people into your life because they are only using you. 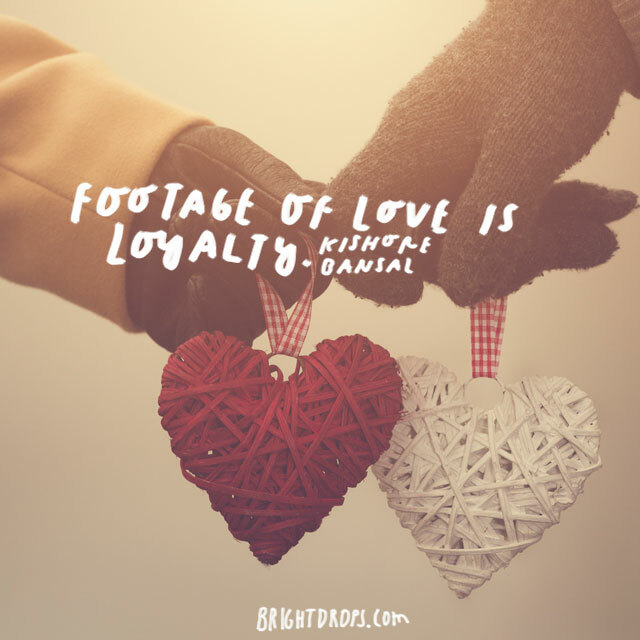 Love is all about loyalty. When you love someone, you have decided to be loyal to them and to watch out for their best interest. Love is not just romance, Love is about becoming so close with someone that you would do anything to protect them and make them happy. 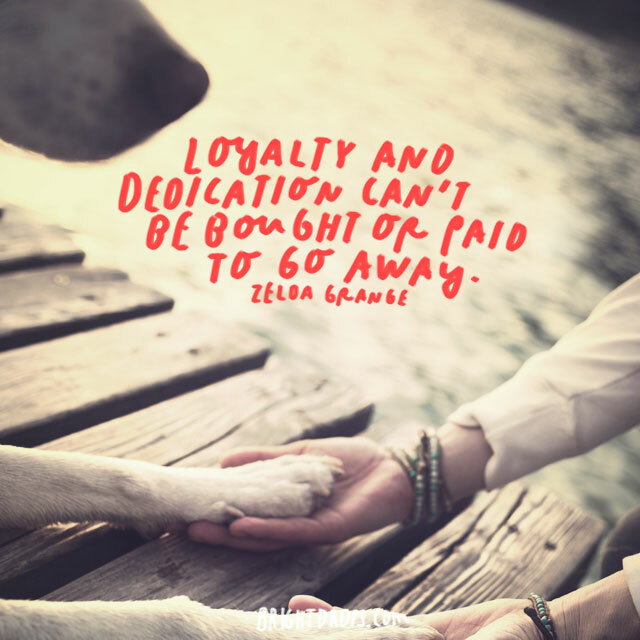 Loyalty and dedication to a cause are strong forces that cannot be bought and cannot be paid to go away. Loyalty is the foundation that makes you believe and dedication is the will and the drive to complete it no matter what crosses your path. When someone is straight, it means that they tell it like it is. they do not beat around the bush and try and sugar coat the truth. They tell it straight and to the point. People who tell it straight should be respected because they do not play games. In relationships, loyalty should be the number one thing you look for. You can be with someone who has money but they are not loyal to you. How long do you think that will last? If you find someone who tells you the truth and is loyal, you should hold on to them. There are no perfect people out there. Cherish the people that are there for you when nobody else is. These are the people you want around because when everything fails and you are at your lowest, they will be there. They should be there at your highest as well. Loyalty is everything in life. 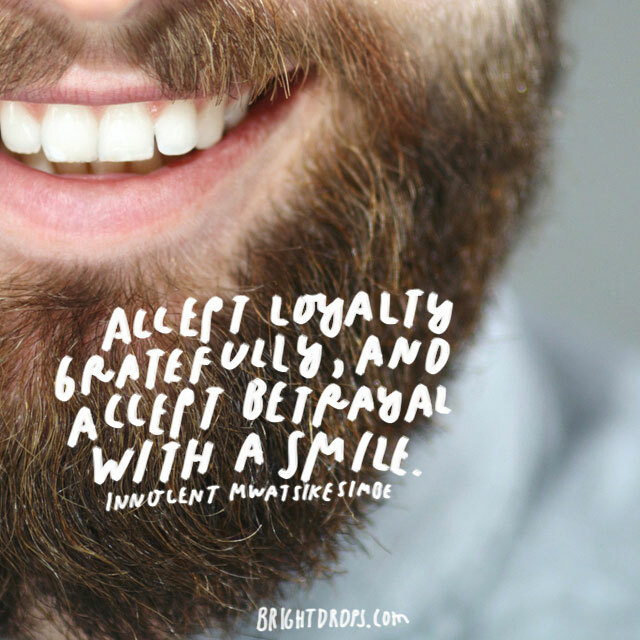 Loyalty is a compilation of honesty and trust and these are the characteristics we need as people. However, not everything is loyal. 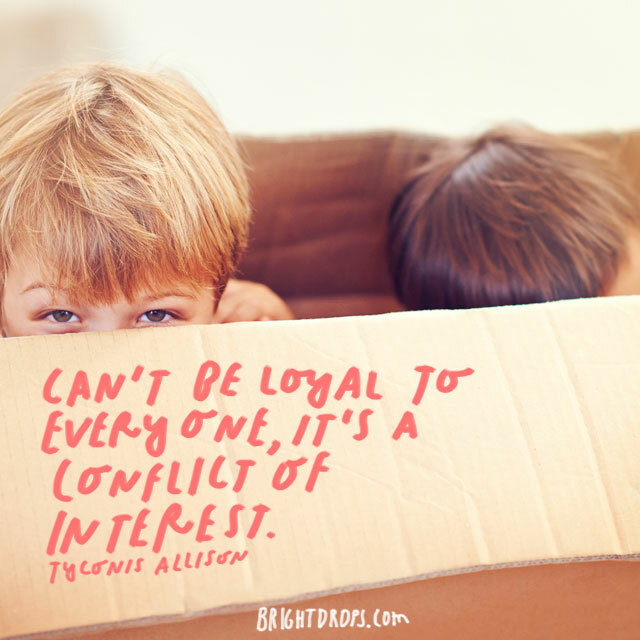 We need to learn to realize who is and who is not loyal. 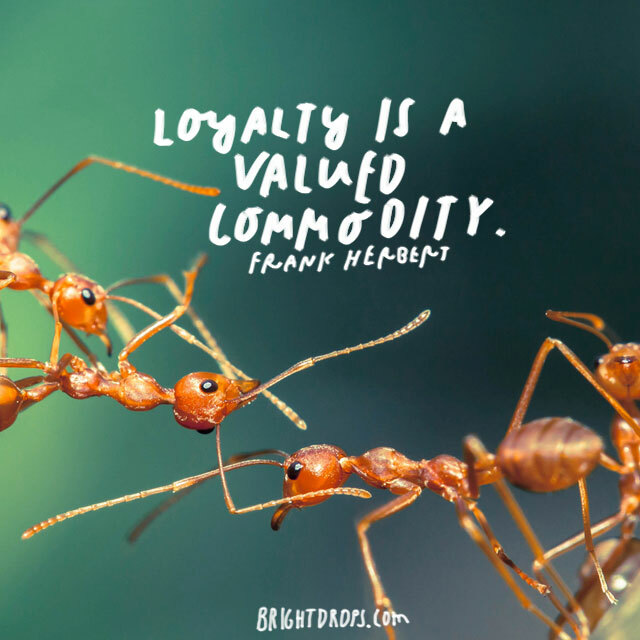 When you receive loyalty, it is a feeling like no other. Brandon Sanderson believes it is like being infused like a gemstone. It gives you strength and power to move forward and confidence that certain people will have your back. On a team, you would rather have someone who is loyal and not as smart, than someone who is smart but disloyal. 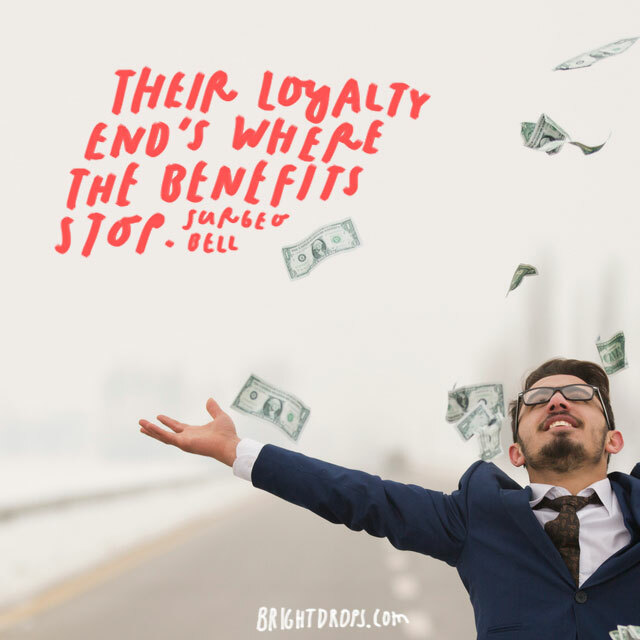 The reason for this is that a disloyal person will not be loyal to the cause and the end goal, but a loyal person will be. If people question your loyalty, it means that they are concerned that you do not have their back. These thoughts are in their head because they do not have yours and are scared that you are thinking in the same way as them. Blood is considered the most powerful thing in the world. The family you have and your relatives are the closest people in your life. 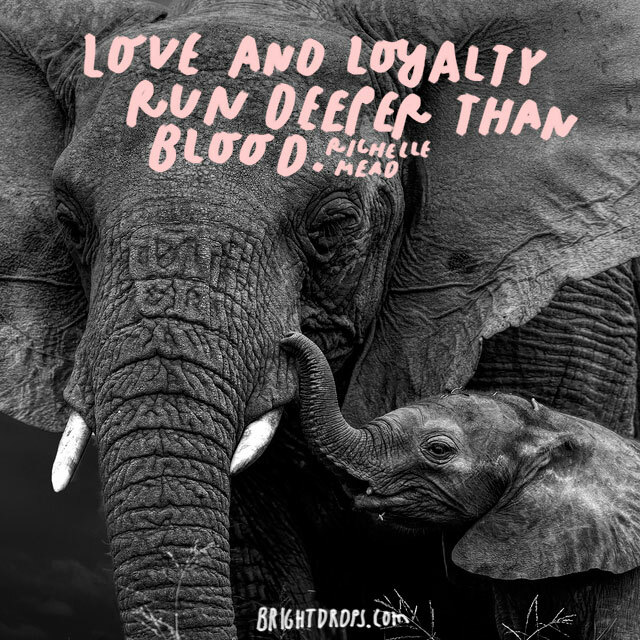 Richelle Mead believes that loyalty is more important than blood. 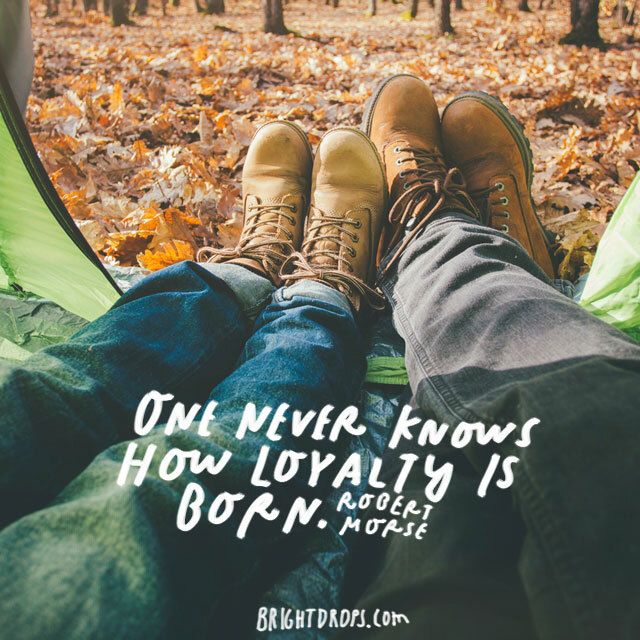 Loyalty is more important than being born into something because you have to earn it. Loyalty is valued all around the world. It is important and it will continue to be important for as long as the world exists. It is so important because loyal people are hard to come by. Loyal people are the ones we trust with our thoughts and our lives. 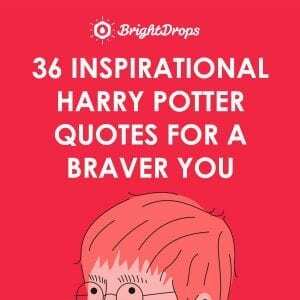 A critic is someone who has to tell it straight and without remorse. a critic must be un-biased because it is unfair to give a better rating to a film or a person just because you like them better. 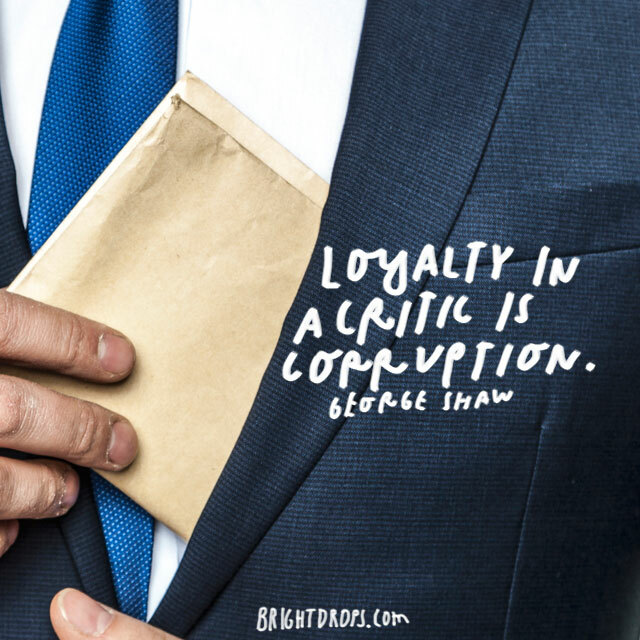 A corrupt critic is one who is loyal. Loyalty is what you do now. What happened in the past is the past. Loyalty is solely focused on the future. 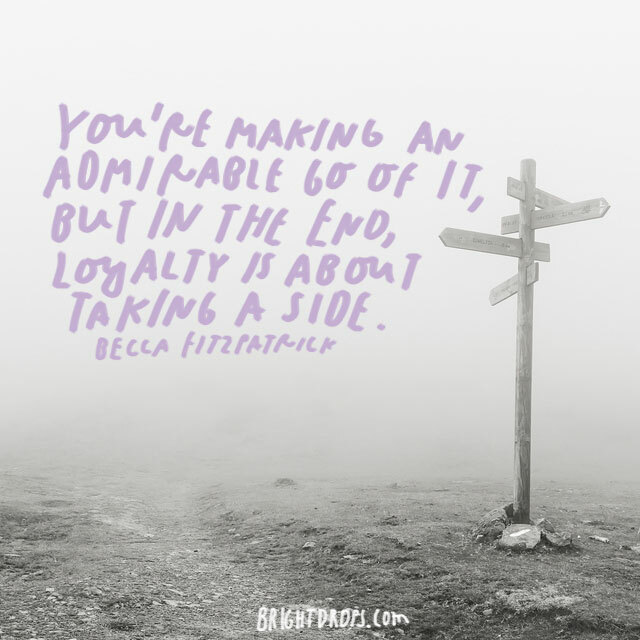 Loyalty is a life-long pledge, it cannot just come and go and as you please. You are either loyal forever or not loyal at all. Loyalty is a two way street and can only happen when there is mutual agreement between parties. One person should not be loyal to another without also receiving their loyalty in return. Do not pledge your loyalty to someone who would not do the same for you.